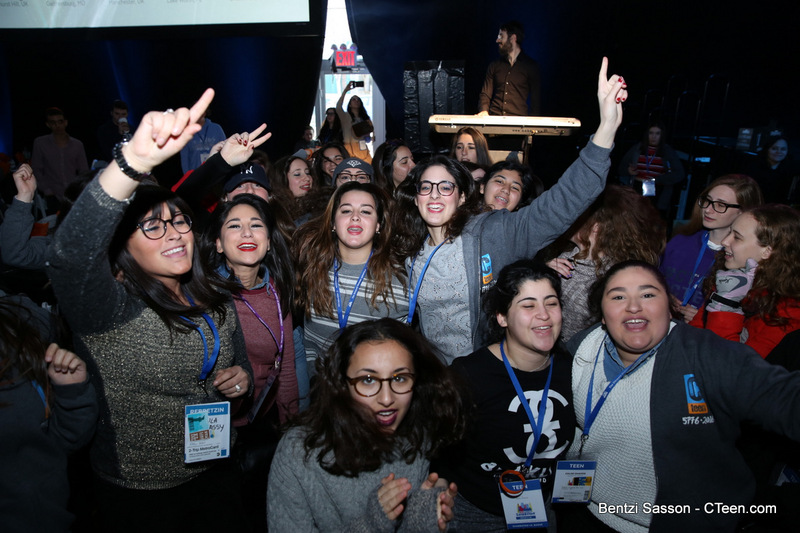 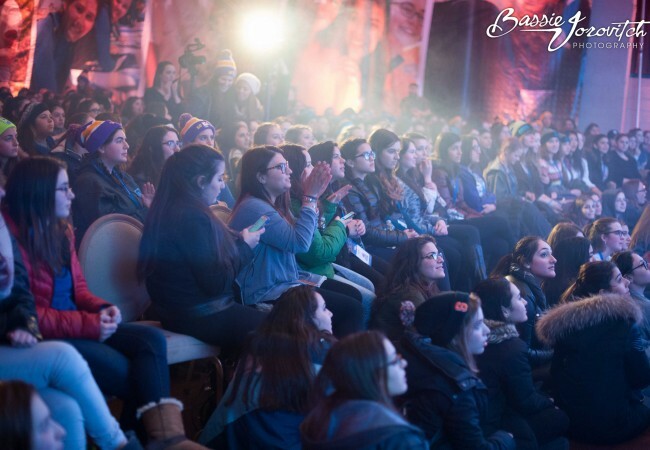 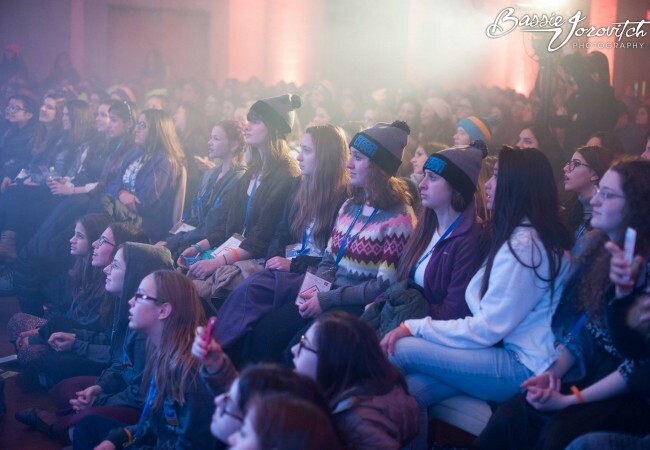 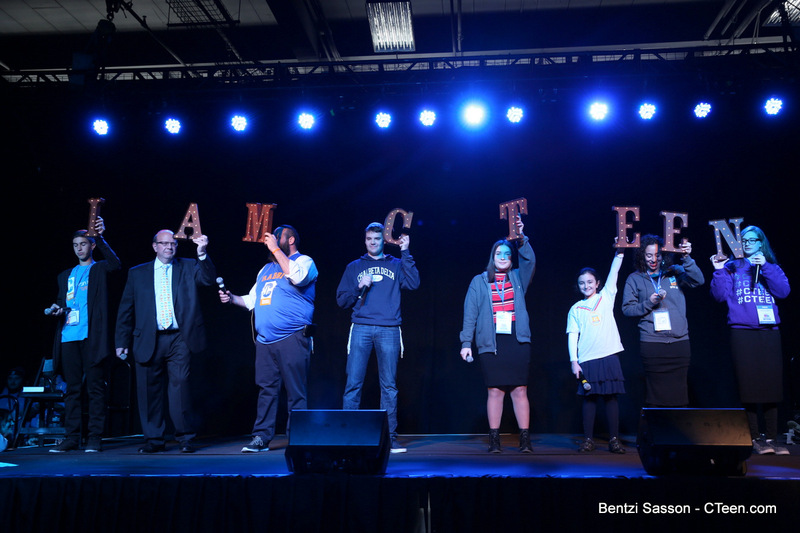 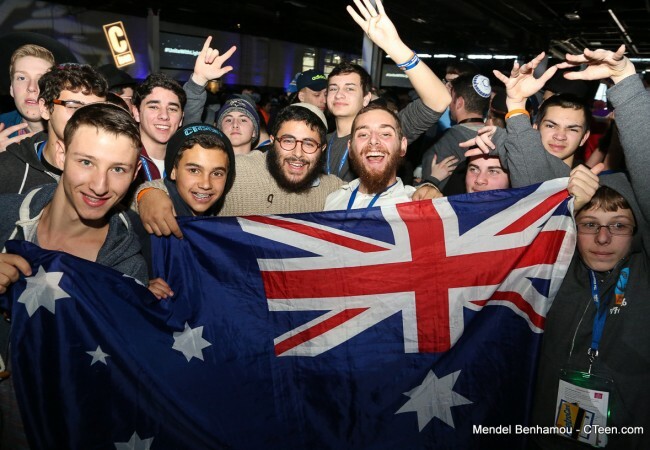 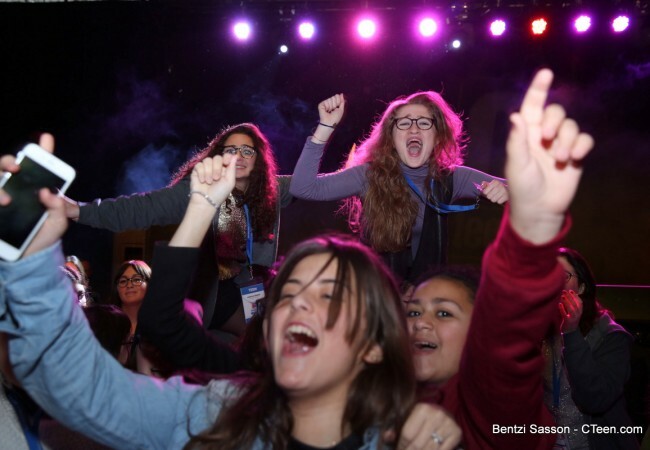 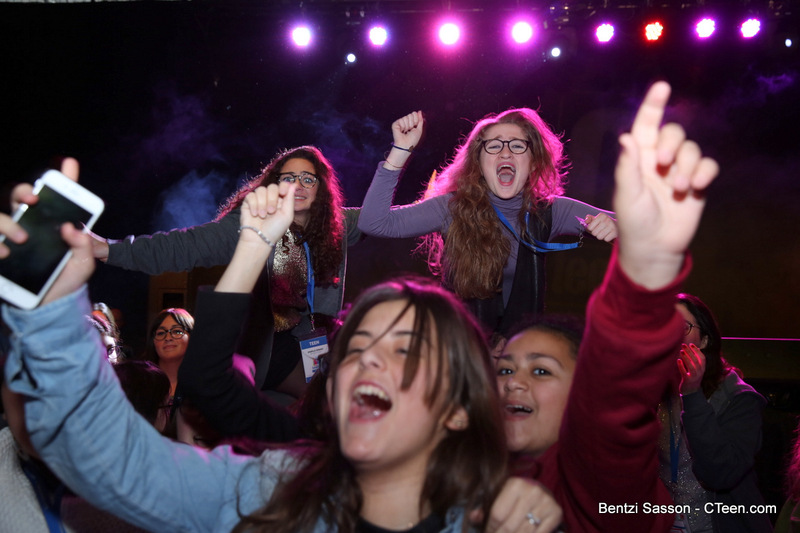 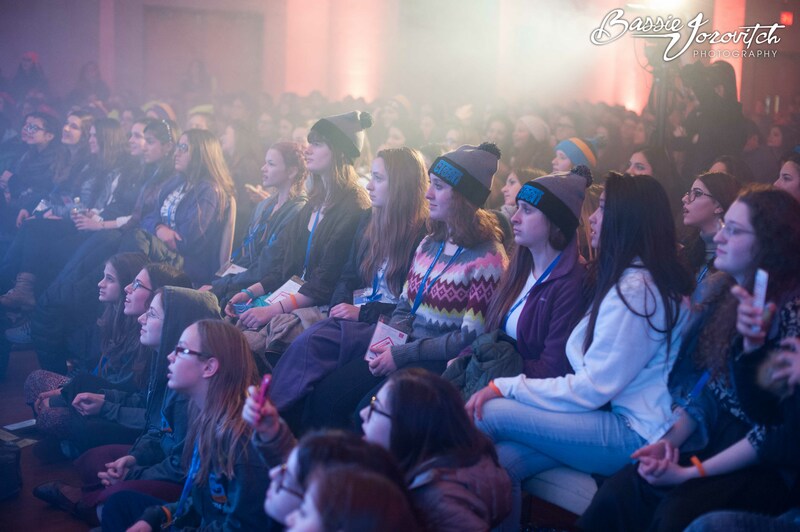 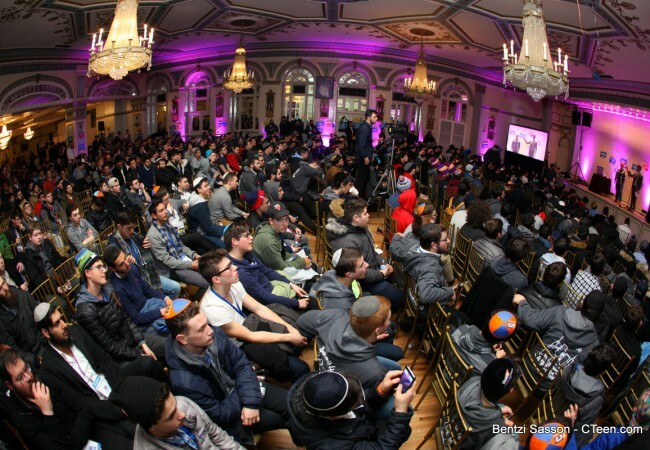 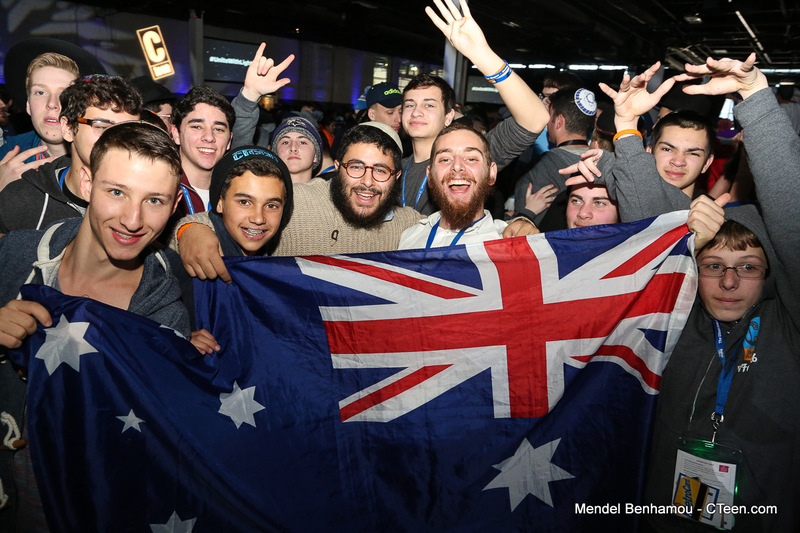 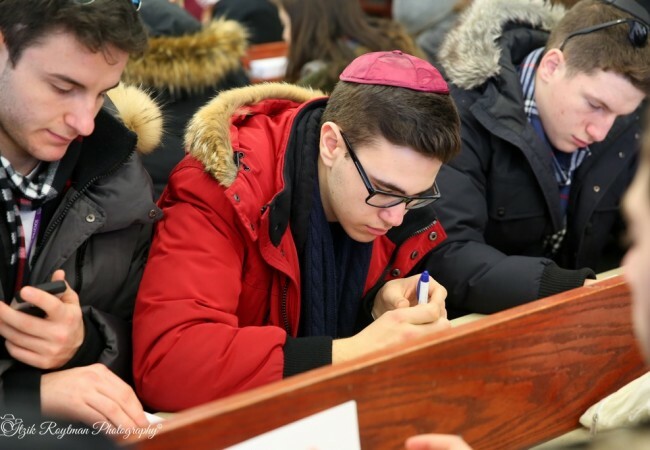 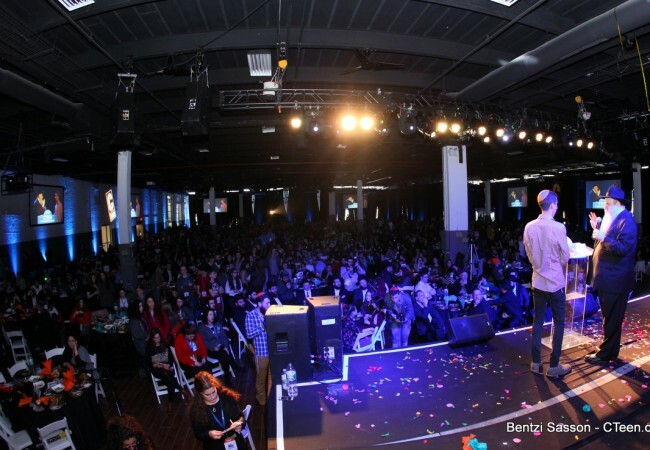 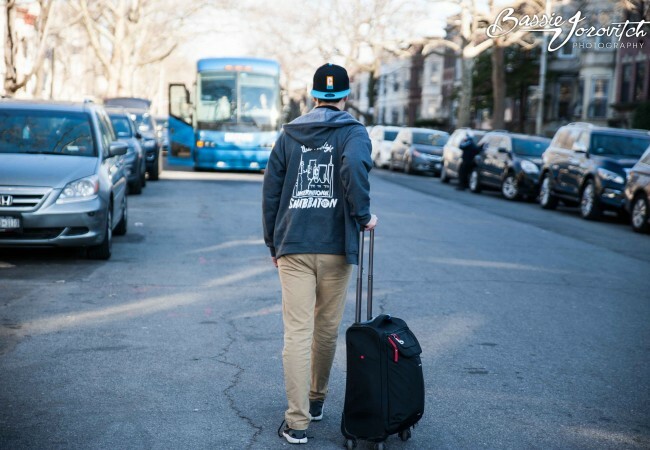 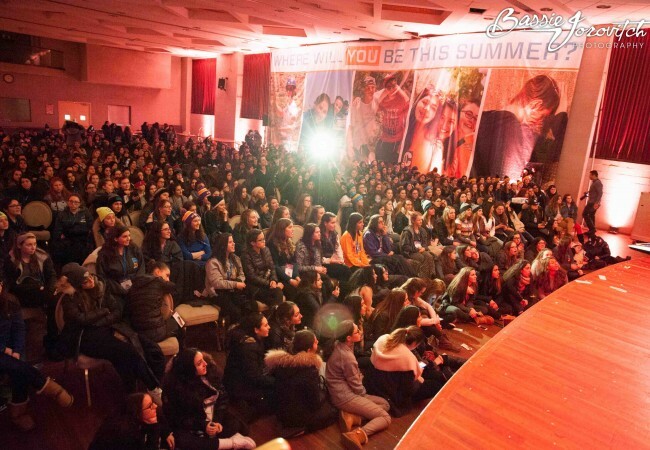 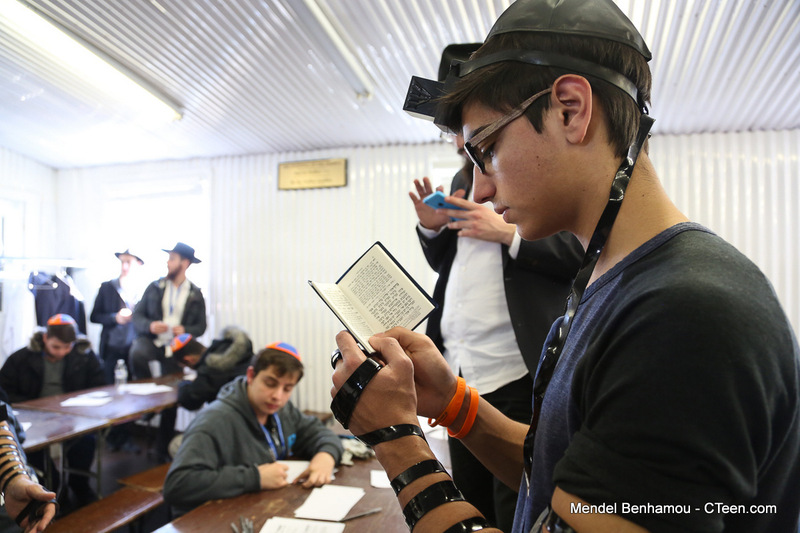 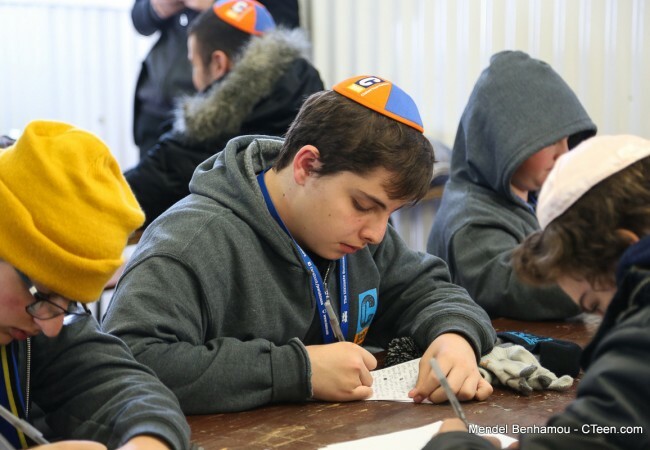 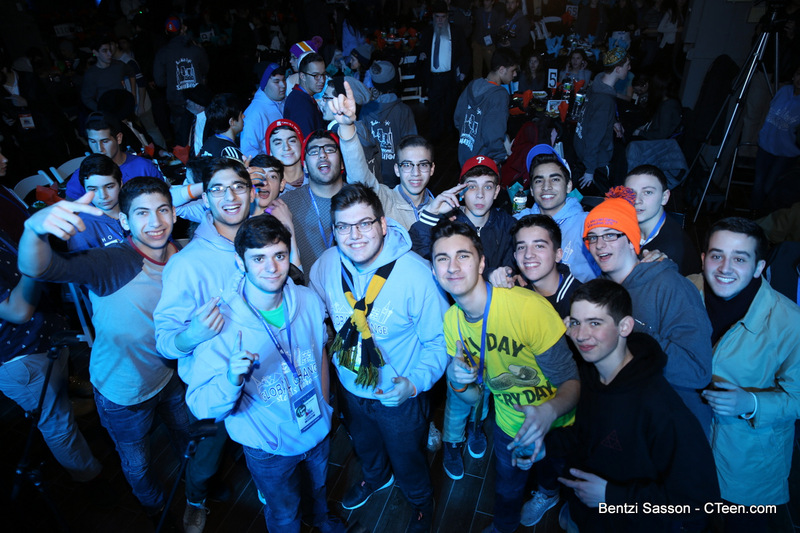 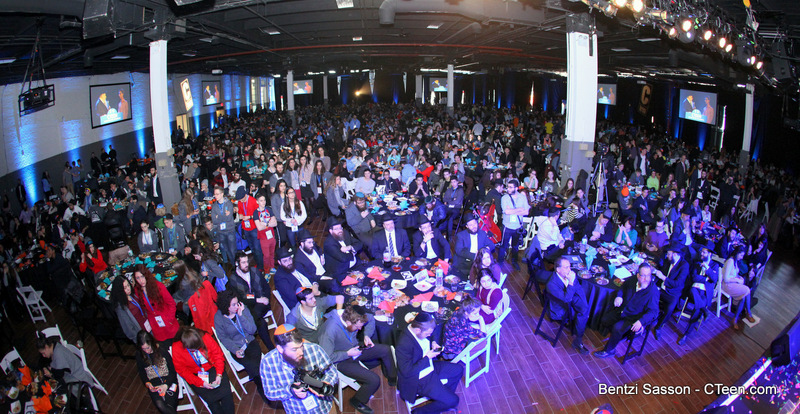 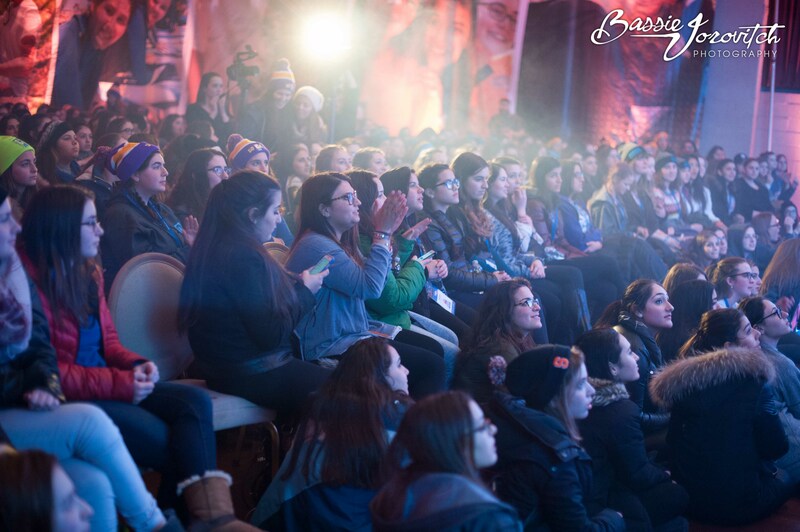 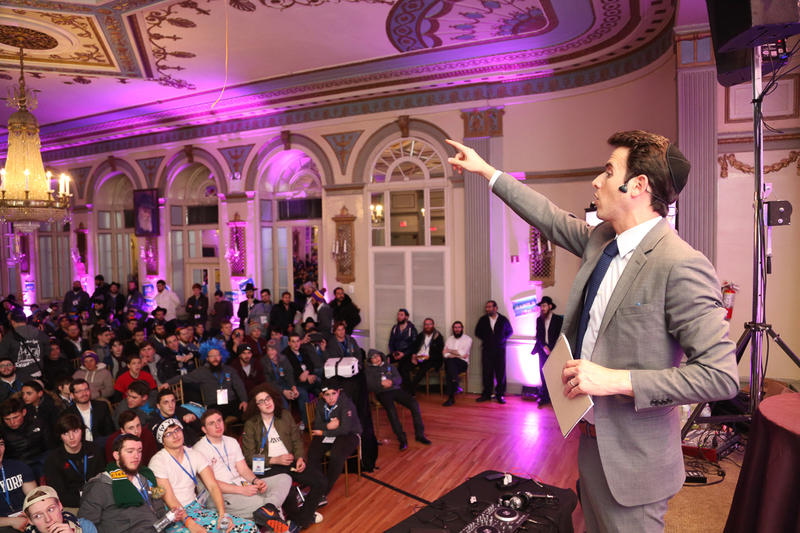 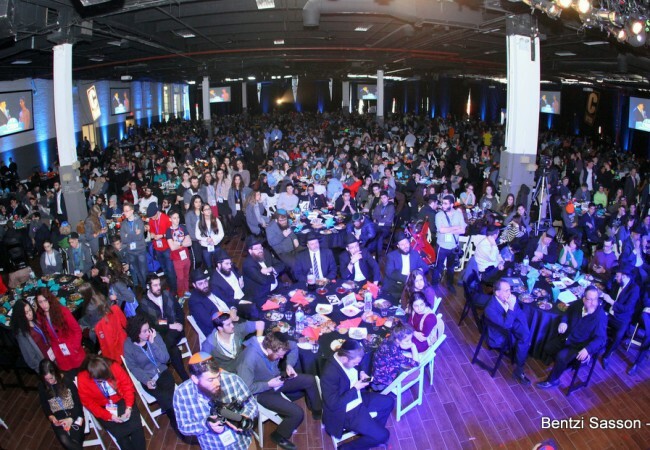 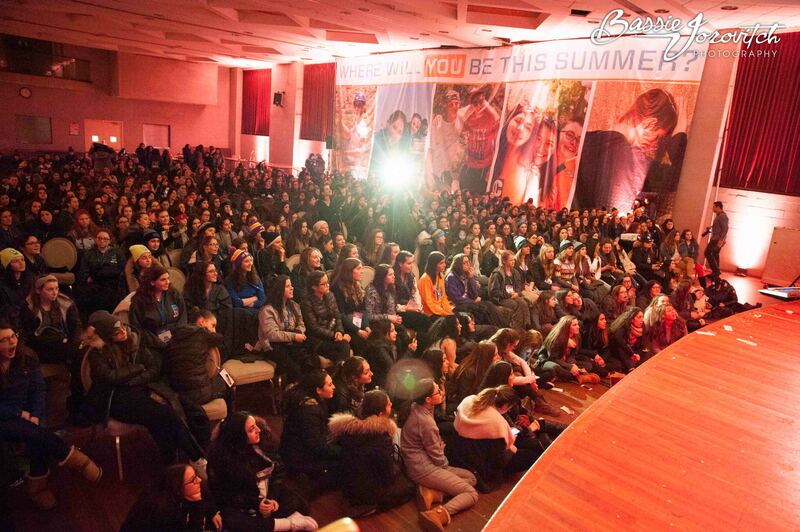 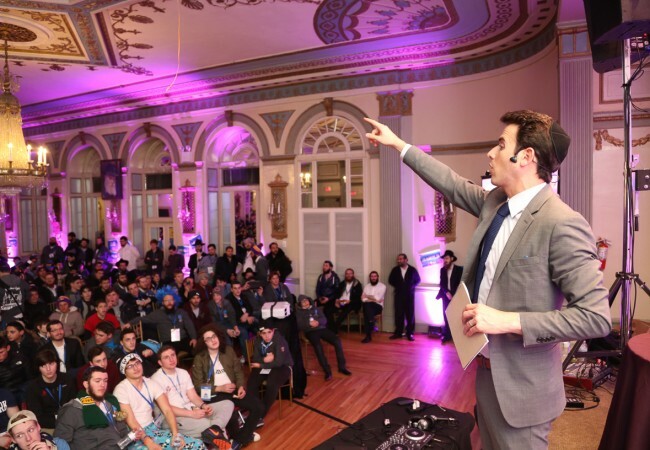 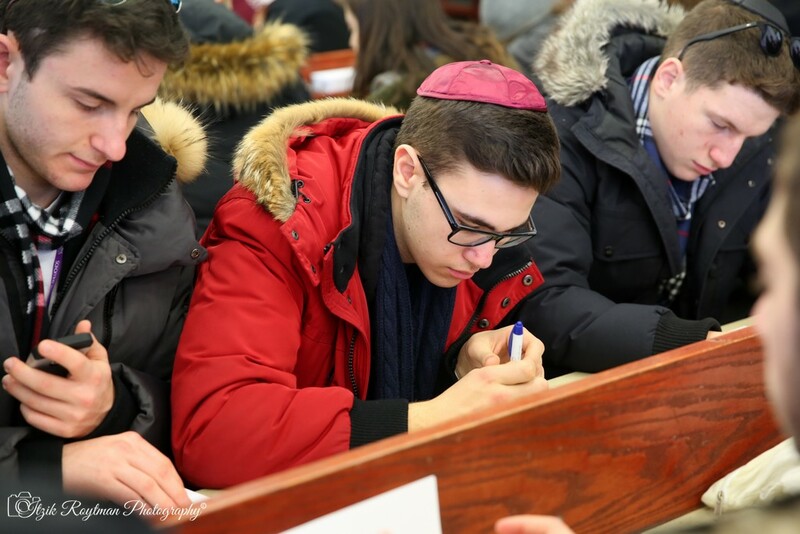 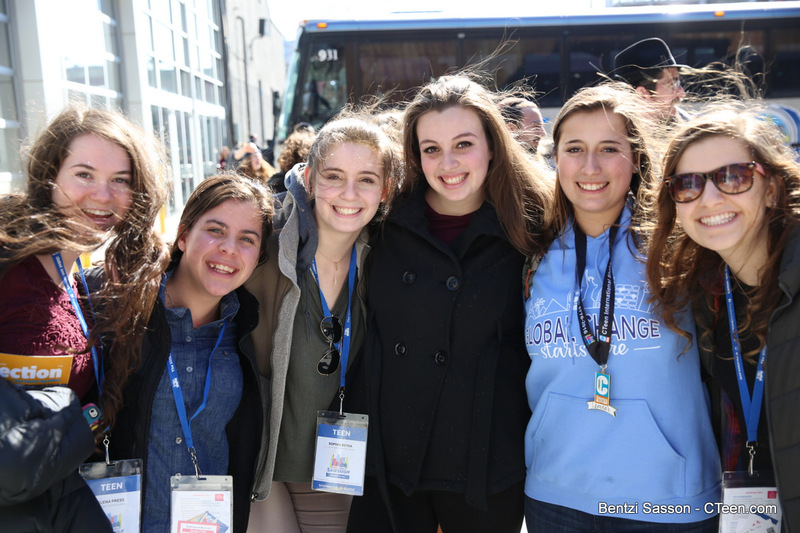 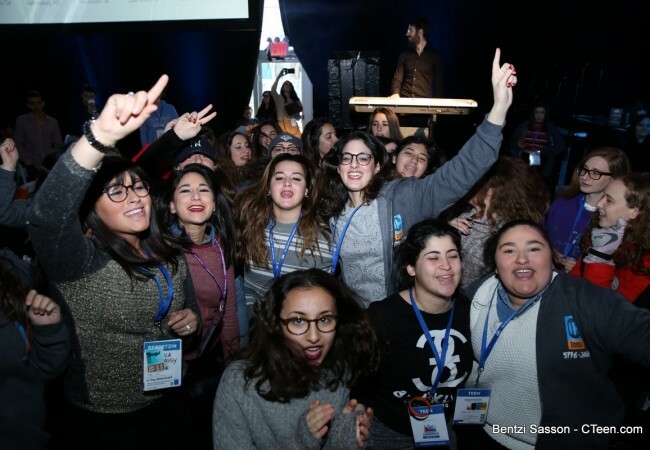 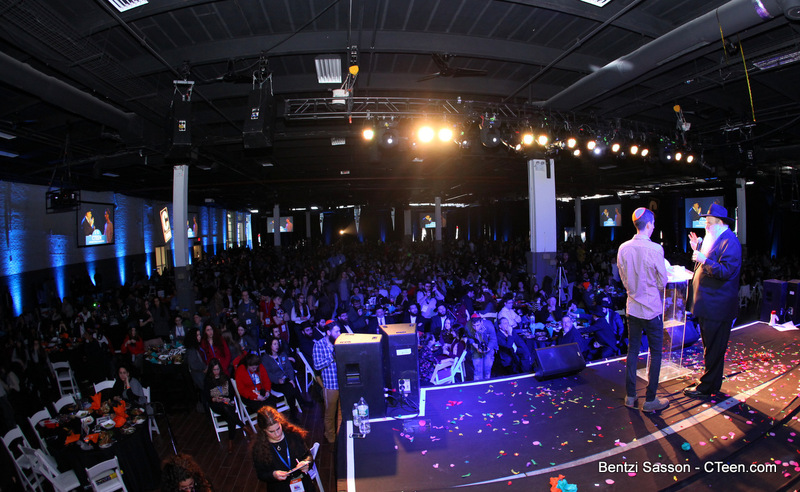 Over 2,000 participants from around the world united in Brooklyn for a weekend of inspiration at the largest and most impressive CTeen International Shabbaton to date. 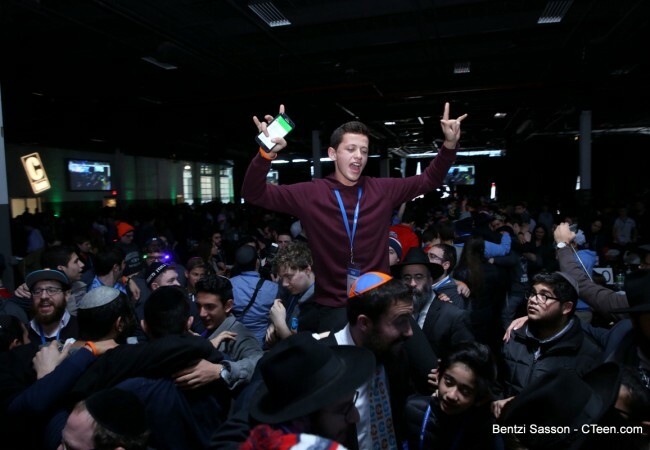 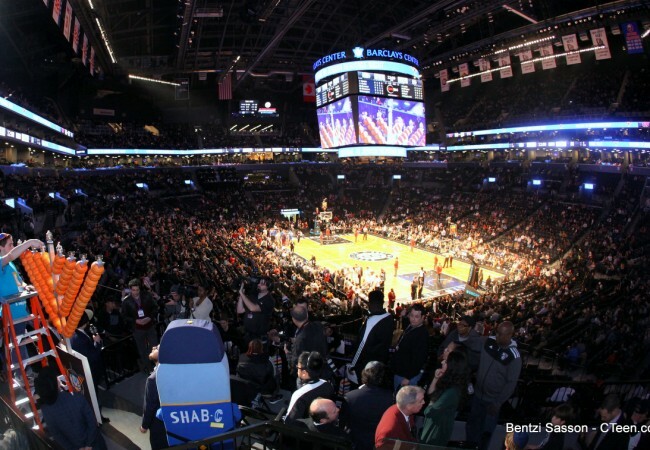 The shabbaton—world famous for events such as the Times Square Takeover and CTeen Choice Awards—far exceeded its past years both in size and grandeur. 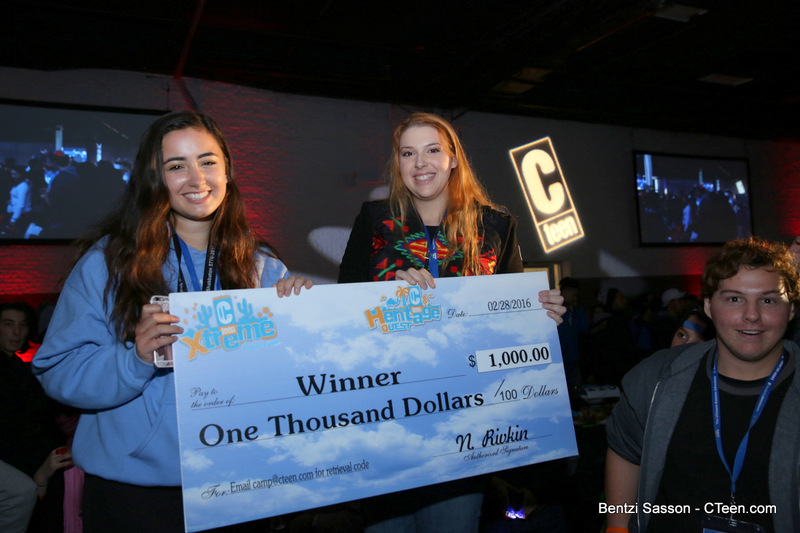 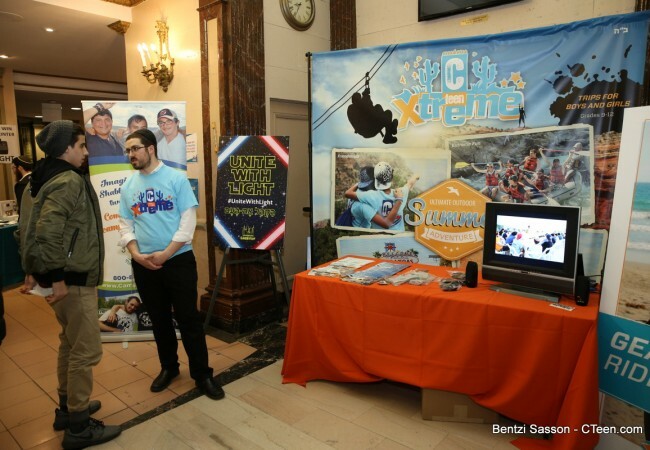 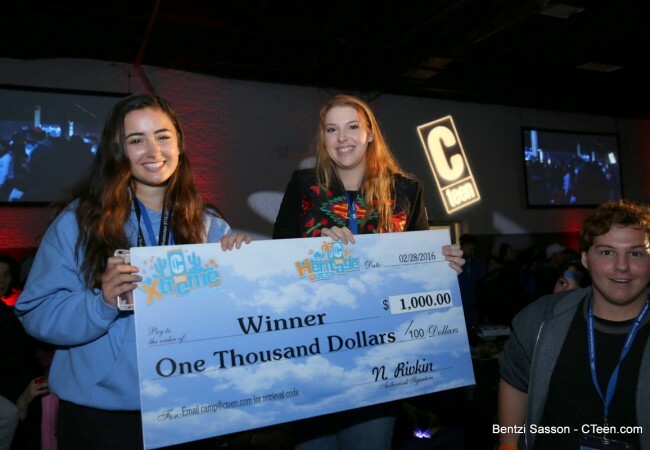 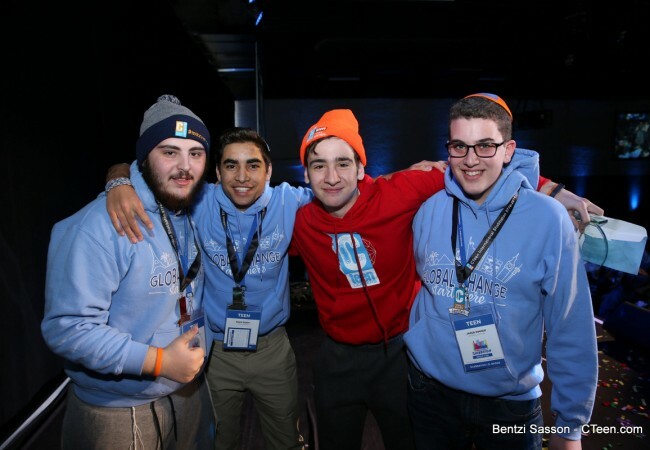 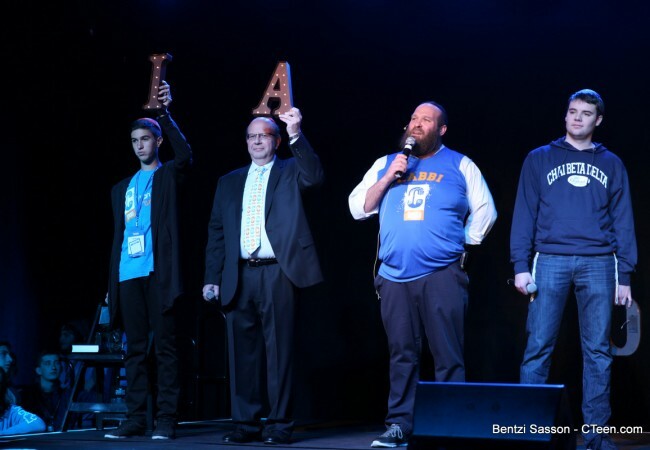 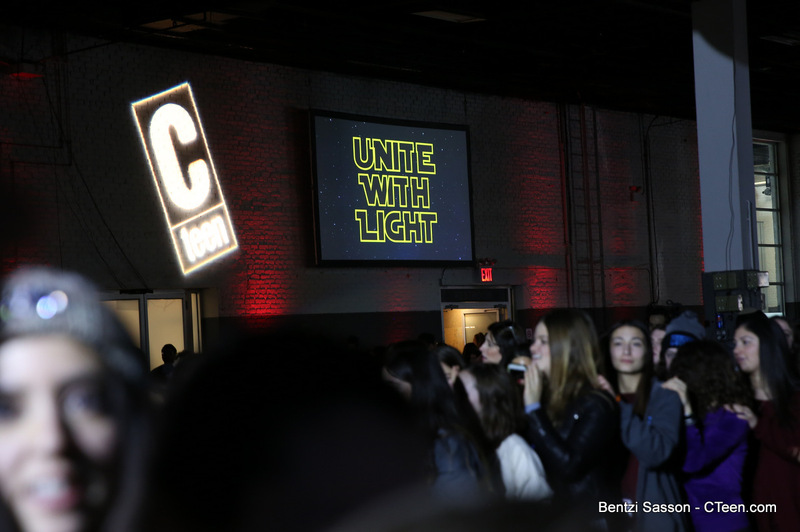 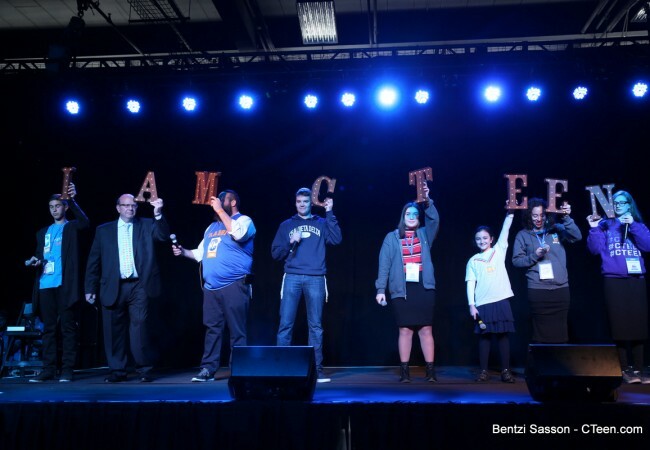 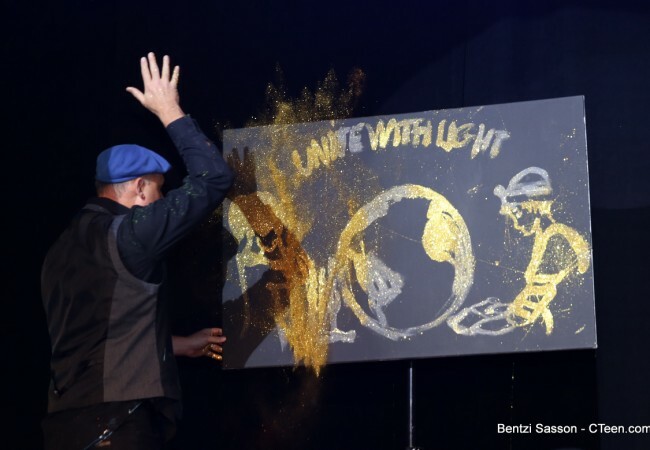 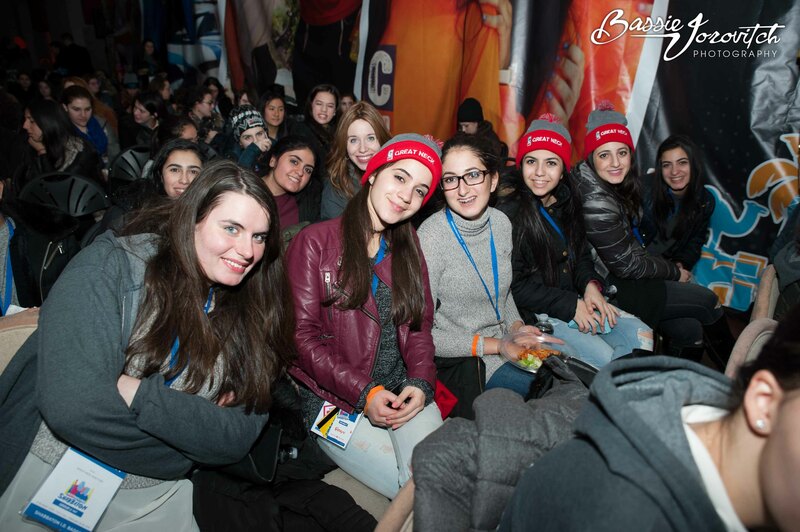 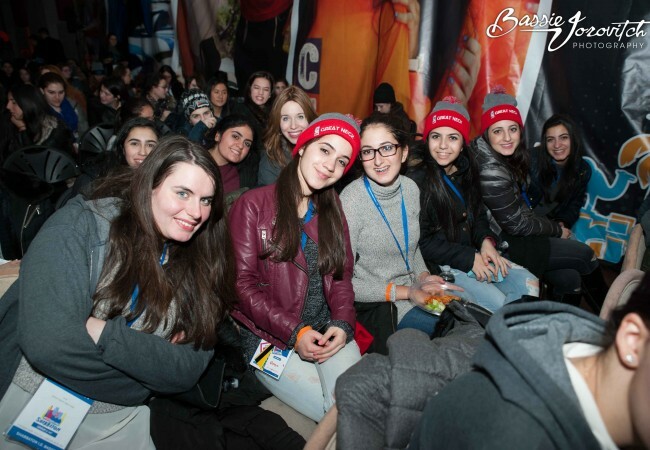 This year’s theme, “Unite with Light”, was a glorious celebration of the Hakhel year, as well as a gateway to inspire teens to add more light through acts of goodness and kindness. 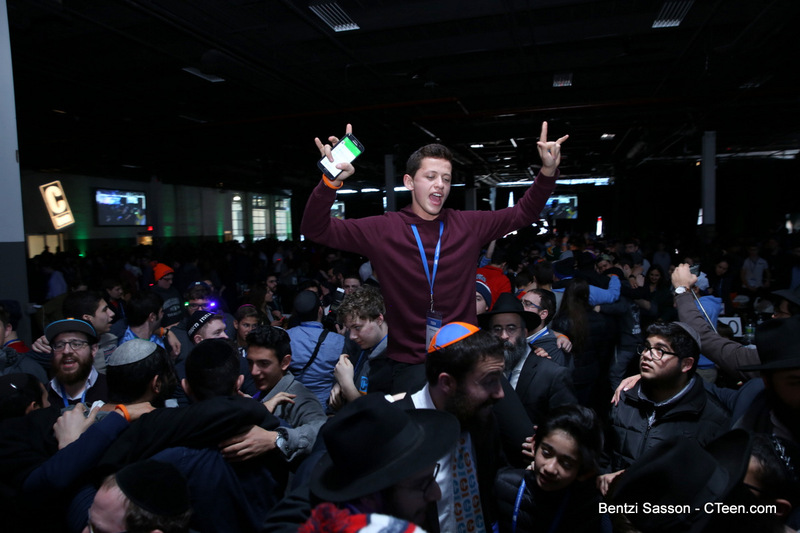 Milan Shany’s Snapchat story was featured by 122k people on the New York Story. 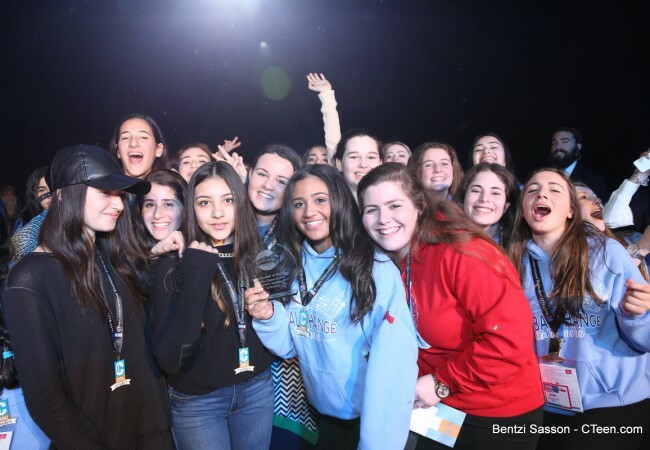 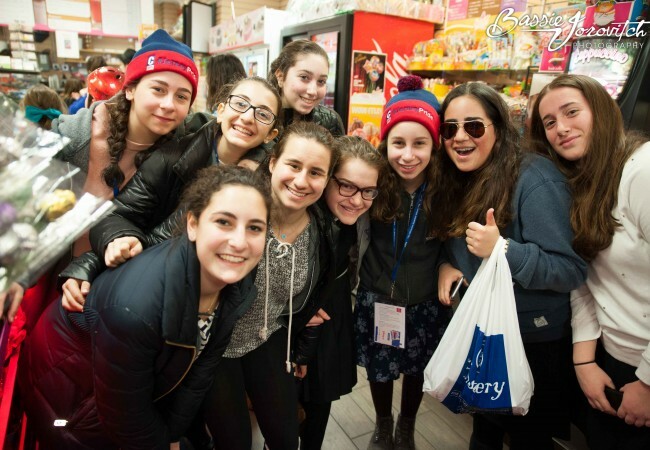 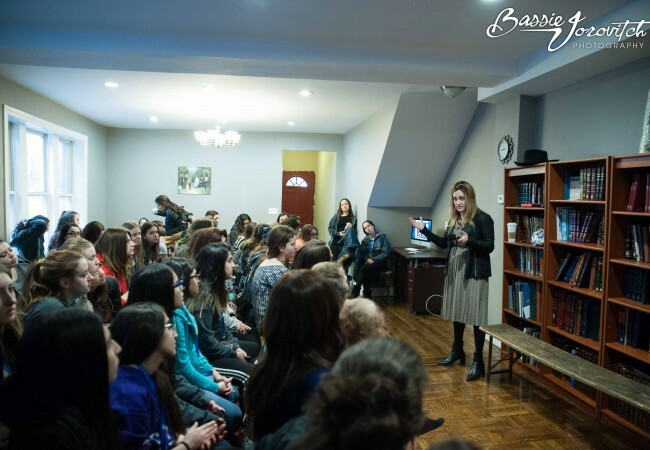 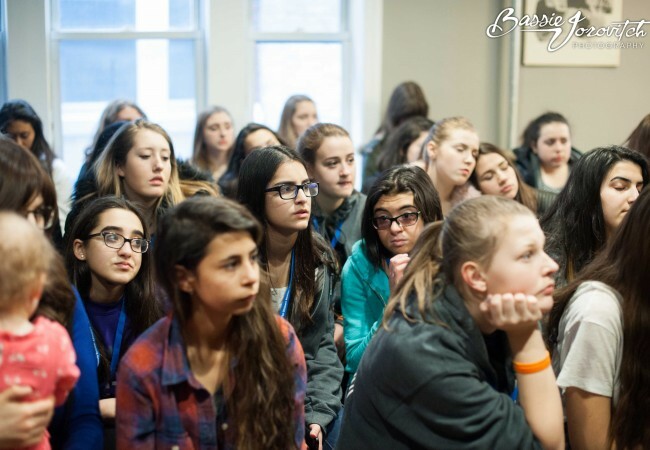 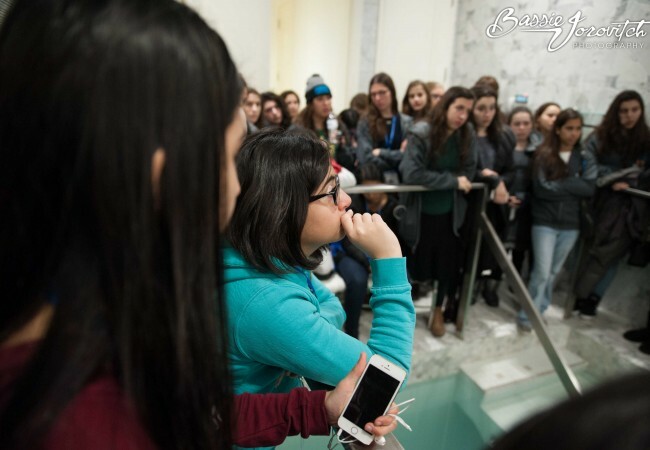 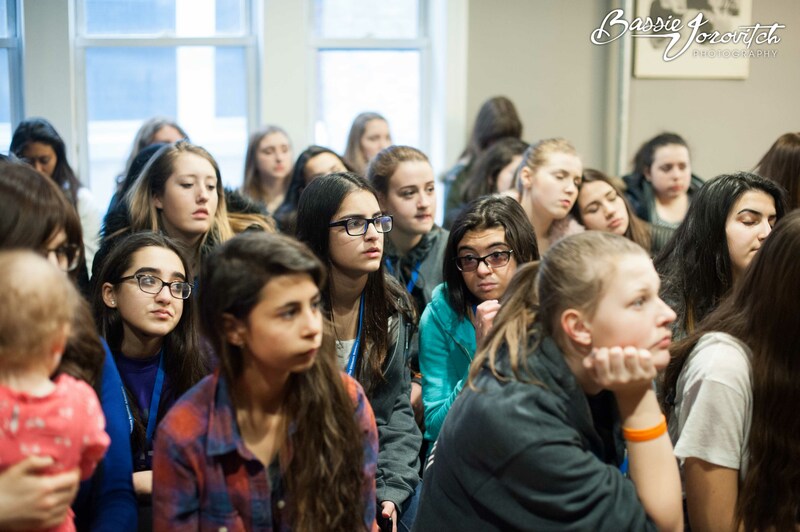 In it she shared her experiences at the CTeen shabbaton—Havdalah in Times Square, dancing in the streets of Manhattan, and her Jewish pride—with what is one of the most used social media sites in the world. 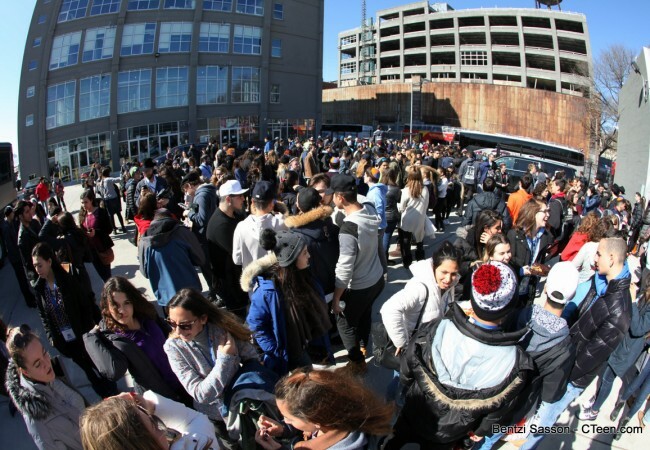 Hers is one of dozens that became trending topics this past weekend. 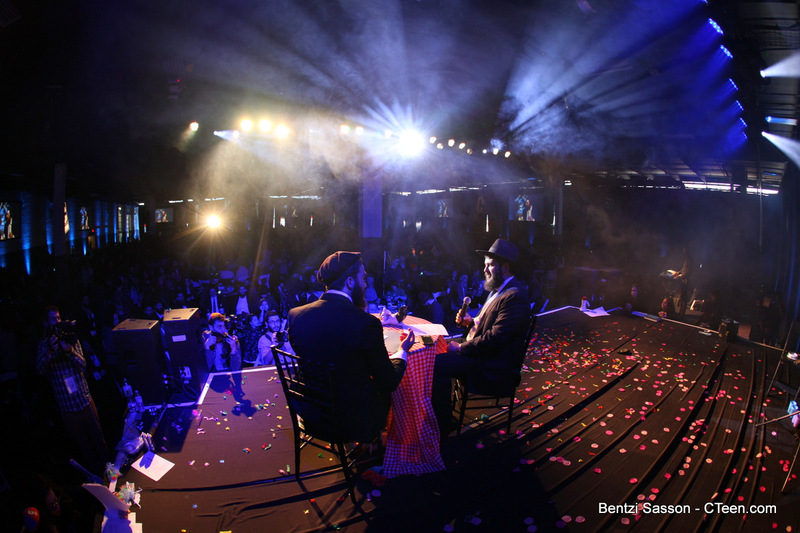 The Rebbe once taught, “Our sages have said, ‘All that G-d created was created for His honor. 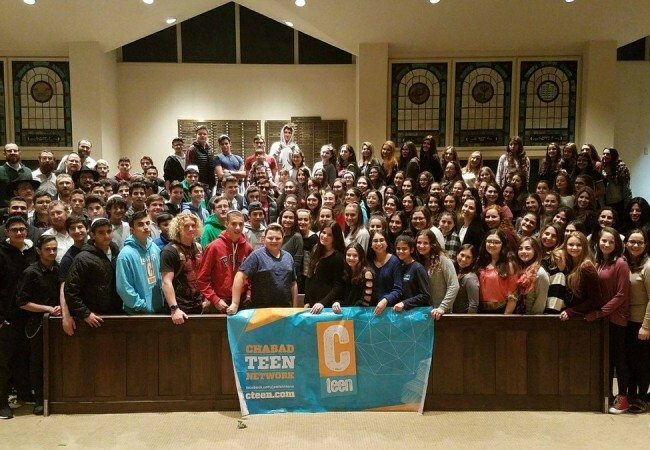 This applies also to all the scientific discoveries of recent years–their purpose is to add honor to G-d by using them for holiness, Torah and mitzvot.’” CTeen is at the forefront of this new terrain, of technology meets spirituality, with its bold use of social media, and larger than life broadcasts dazzling the radiant screens of Times Square. 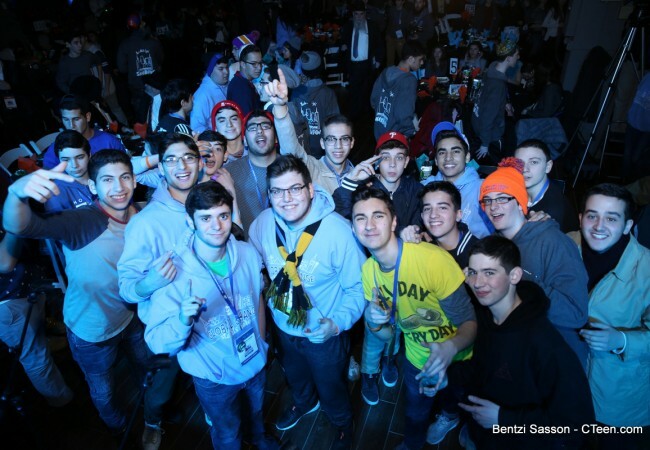 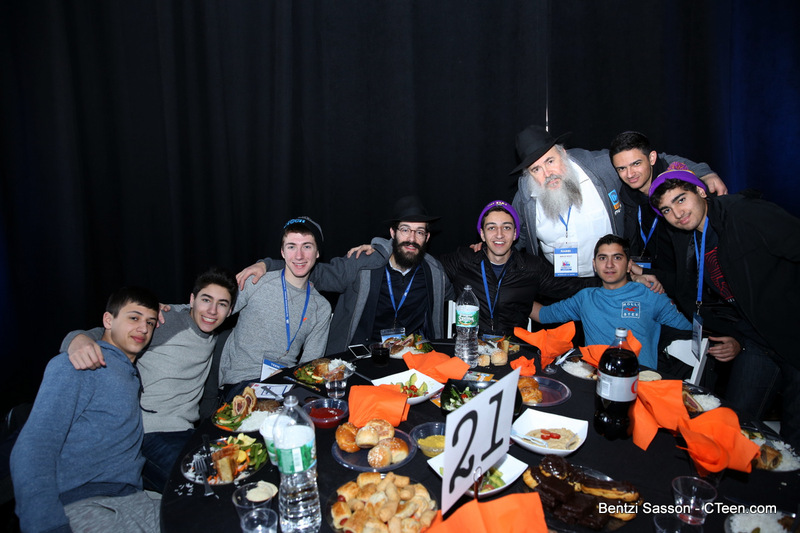 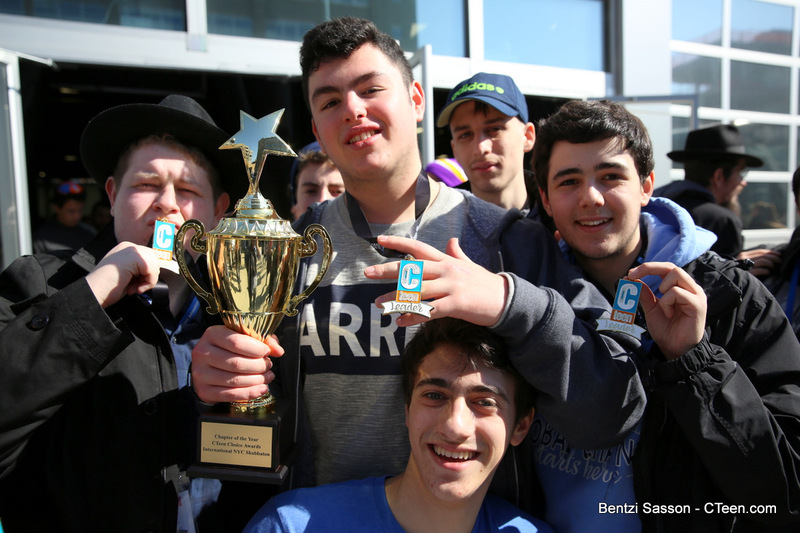 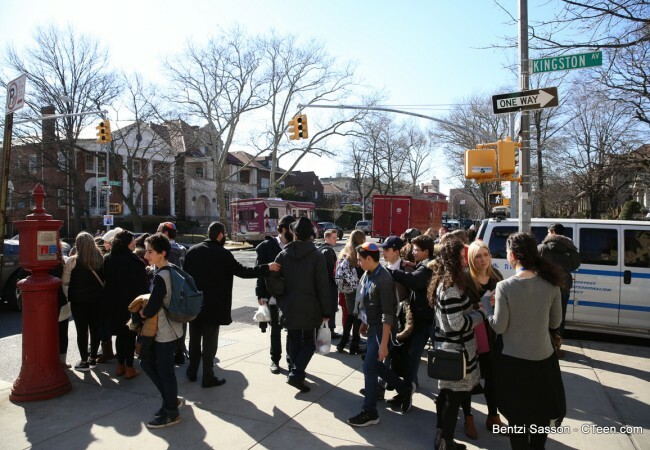 The Annual CTeen Shabbaton broke the record for the largest shabbaton ever held in Crown Heights, where it was graciously hosted. 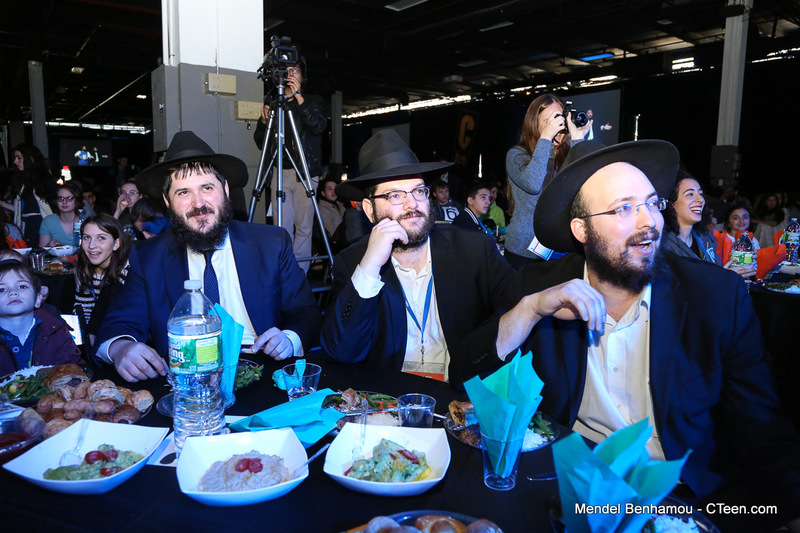 The annual Grand Banquet and Choice Awards were also held, with great fanfare, at the Brooklyn Expo in Williamsburg. 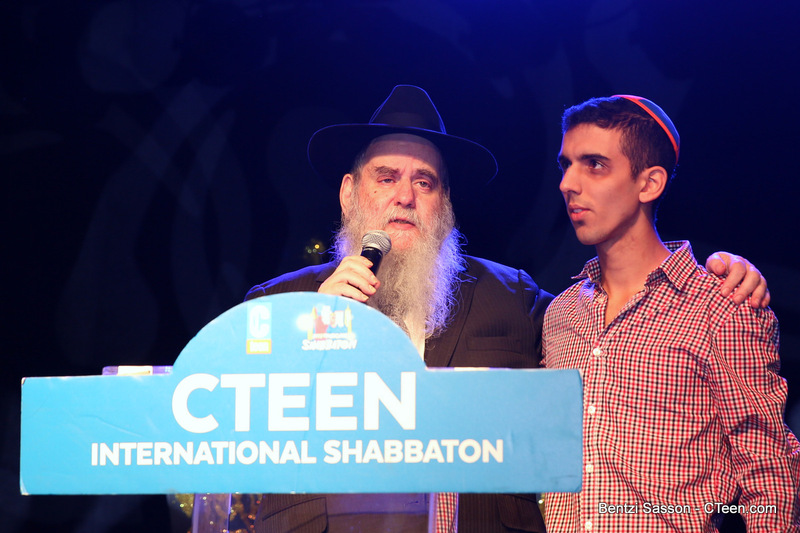 The event, which featured a thematic opening with CTeeners from around the world, including parents, shluchim, staff and teens alike. 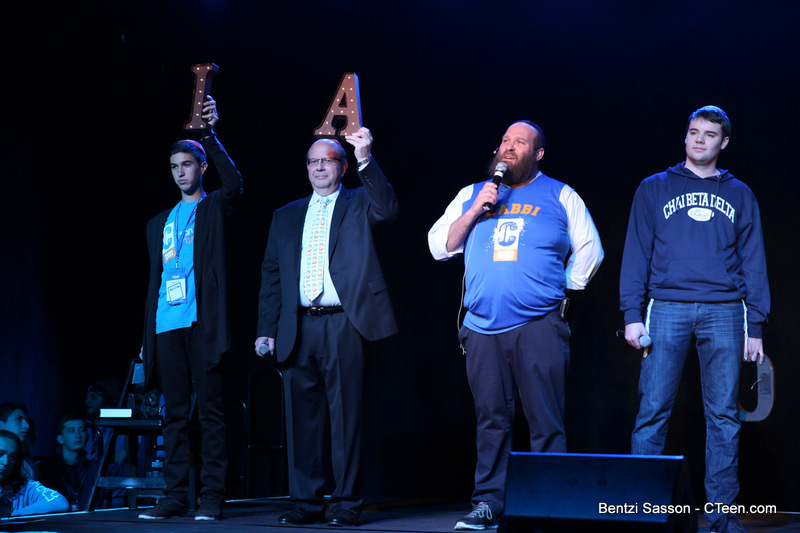 It honored the recent victims of terror, as well as Ezra Schwartz, the teen from Boston, who tragically lost his life earlier this year during an attack in Israel. 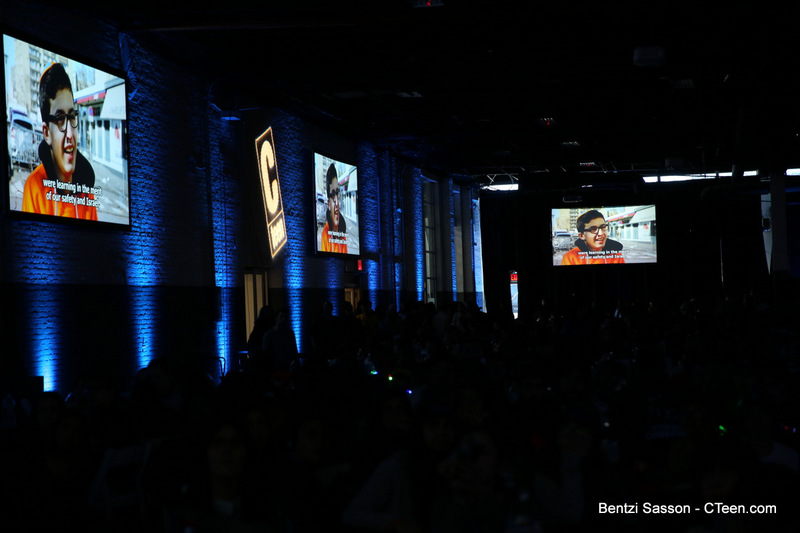 The high, intense energy of the event, which was permeated with dancing, singing, and jubilation, quieted to complete silence when both video tributes appeared on the screen. 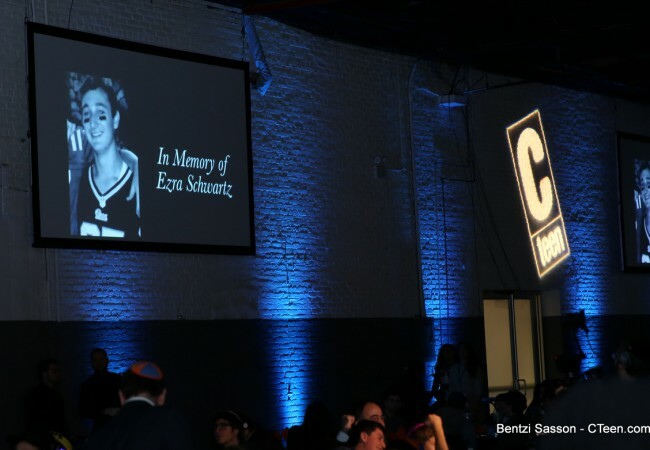 The video honoring Ezra—made with the help of his best friend, Michael, who attended the event in his honor—brought everyone in the room to tears. 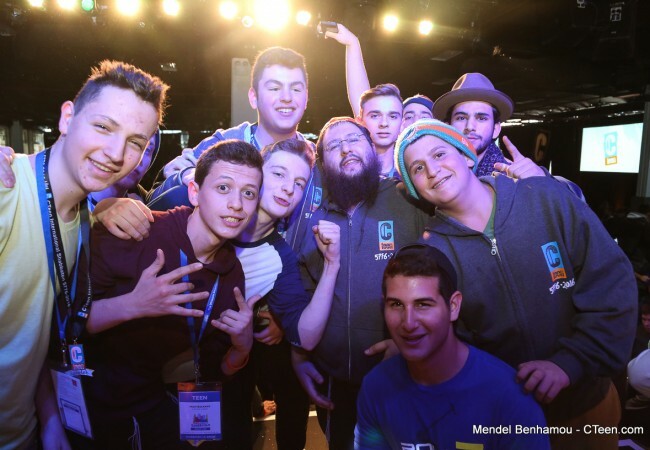 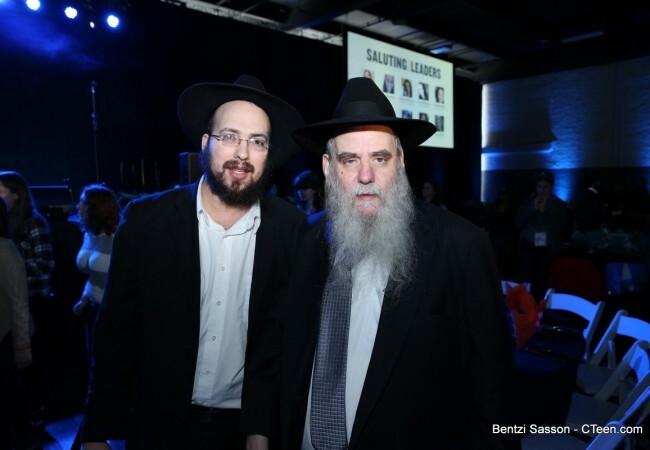 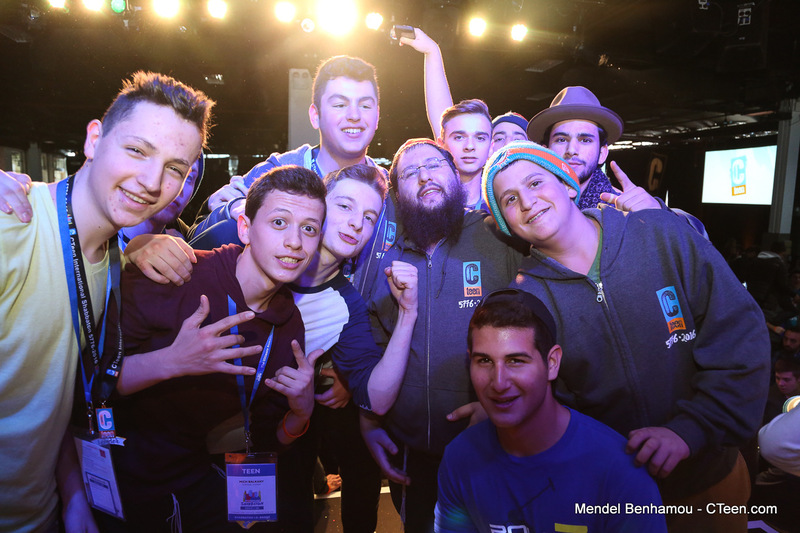 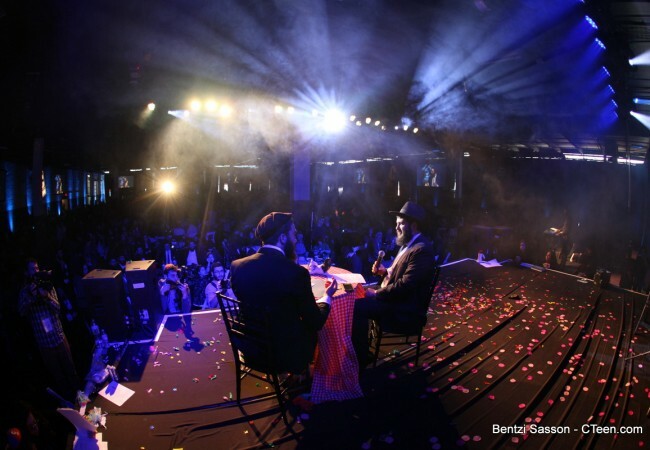 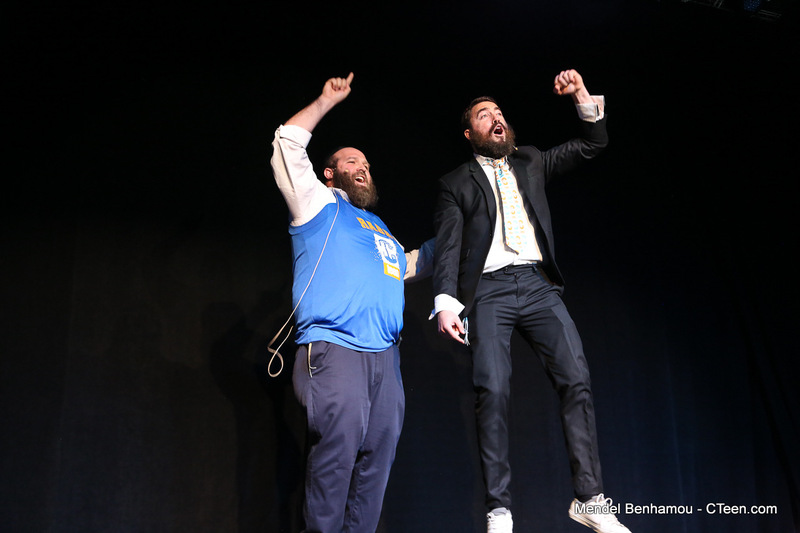 Following these emotional moments, Michael and Rabbi Moshe Kotlarsky, the Chairman of CTeen, appeared together on stage. 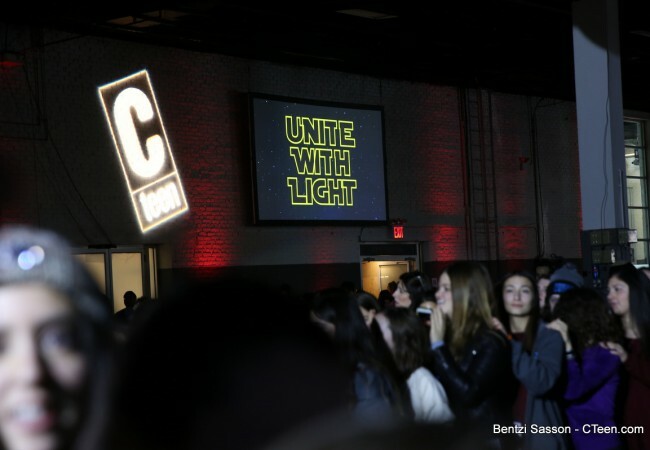 Their mission? 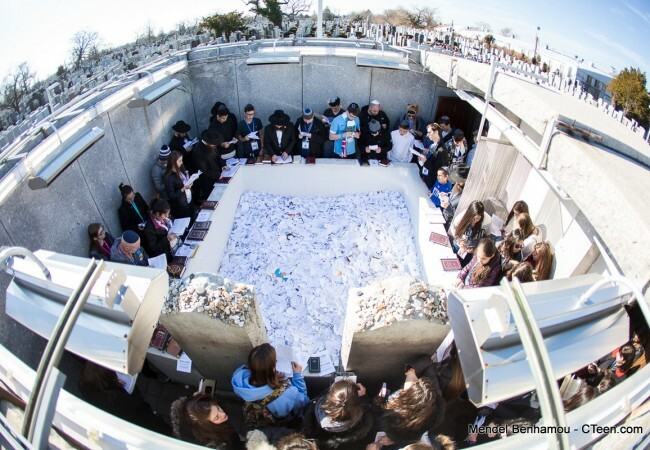 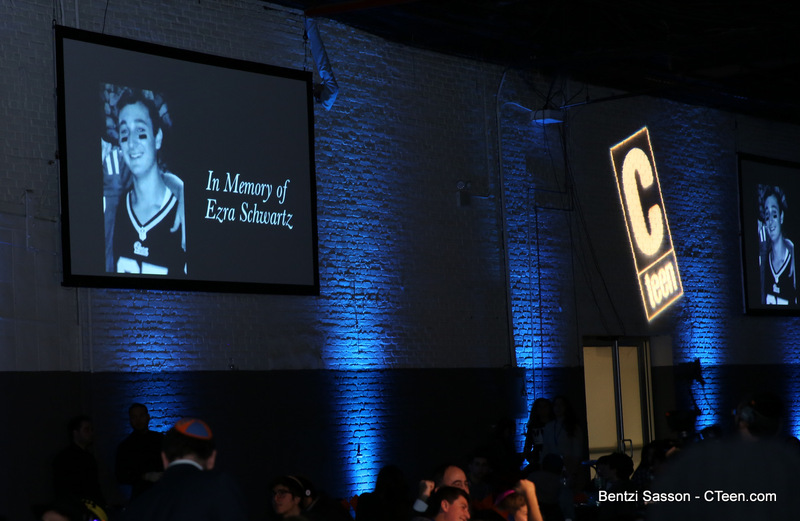 To elevate Ezra’s memory to a new light with the help of teens and their mitzvah pledges. 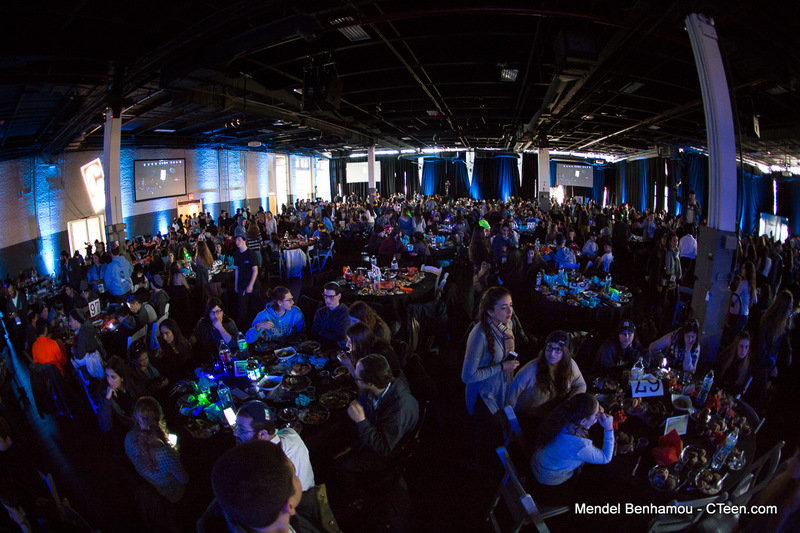 With these powerful words, everyone turned their attention to the mitzvah pledges on their tables. 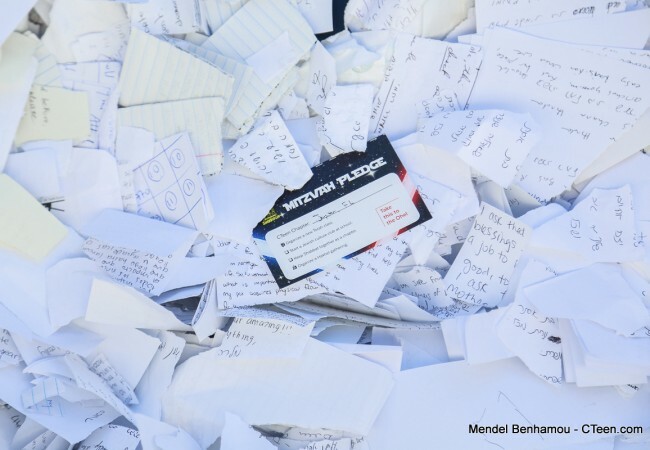 Each pledge card was accompanied with finger lights of various colors; each one representing a different mitzvah. 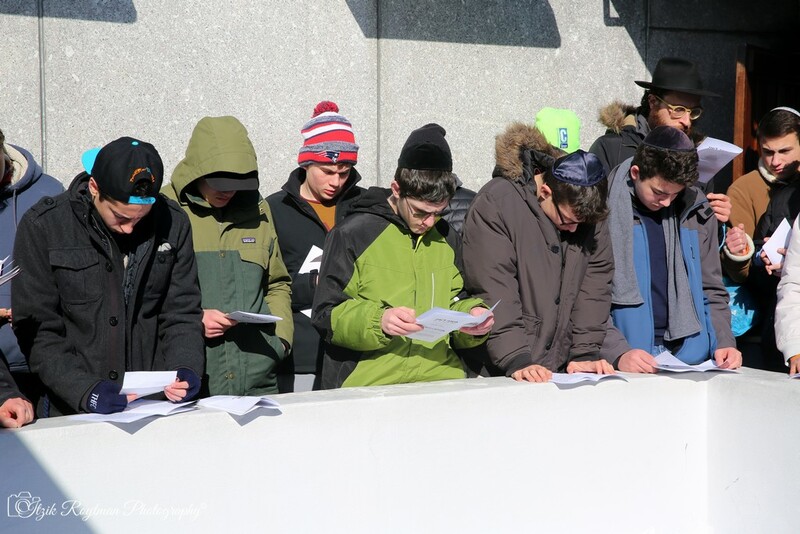 Instead of undertaking separate mitzvahs, the groups were encouraged to unite with the mitzvahs and accept new deeds as a group endeavor. 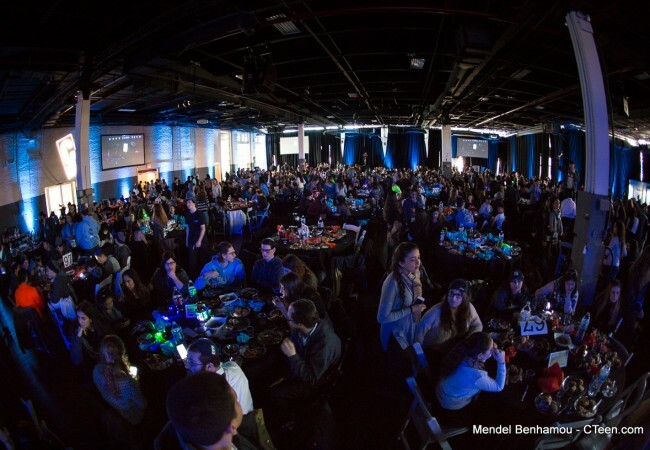 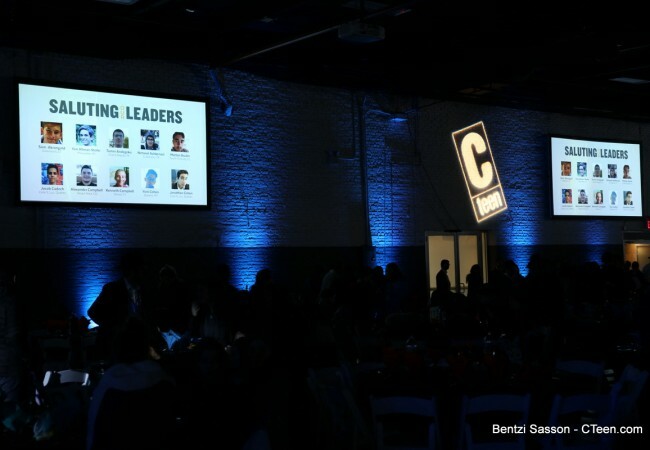 As each chose their mitzvahs, the room was illuminated by thousands of lights, shining brightly in the hands of those who committed to making this world a more brilliant and better place. 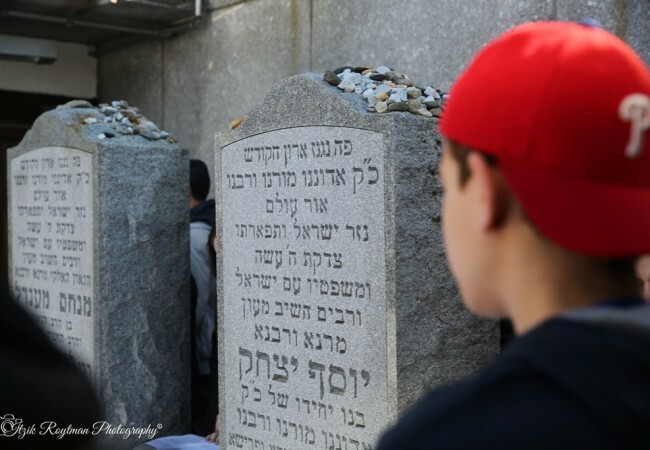 The deeds chosen did not have to be overly ambitious or set unrealistic goals, as Zack Horowitz from Wilmington, Delaware explains, “At the Rebbe’s resting place, I made a mitzvah pledge to say the shema and modeh ani at least once a week before I go to bed and after I wake up. 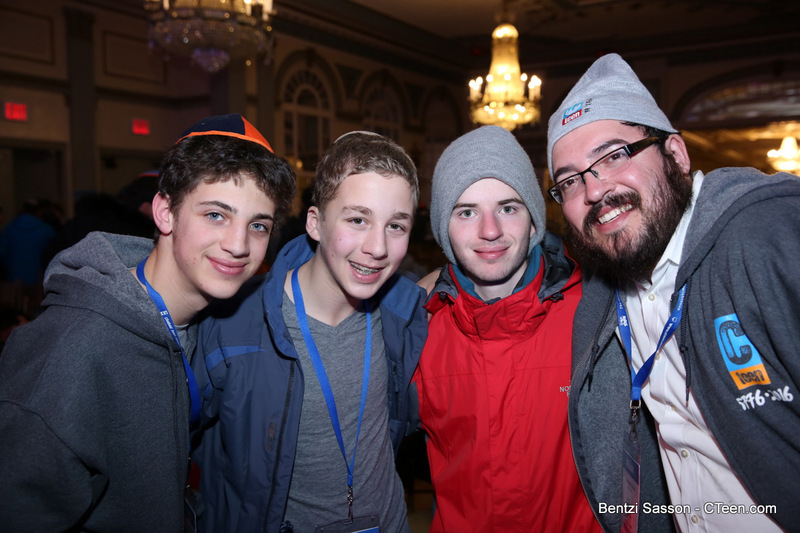 I encourage everyone to find a mitzvah that you can realistically integrate into your own life. 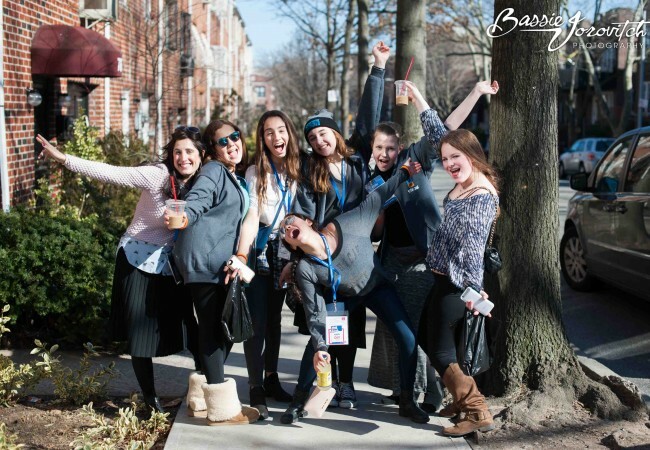 It doesn’t have to be much! 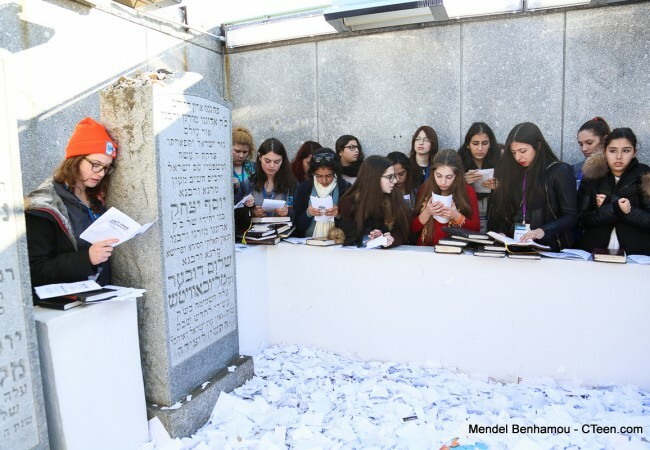 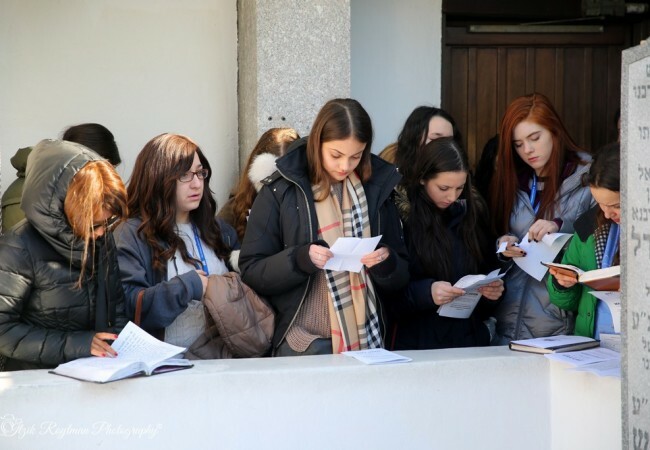 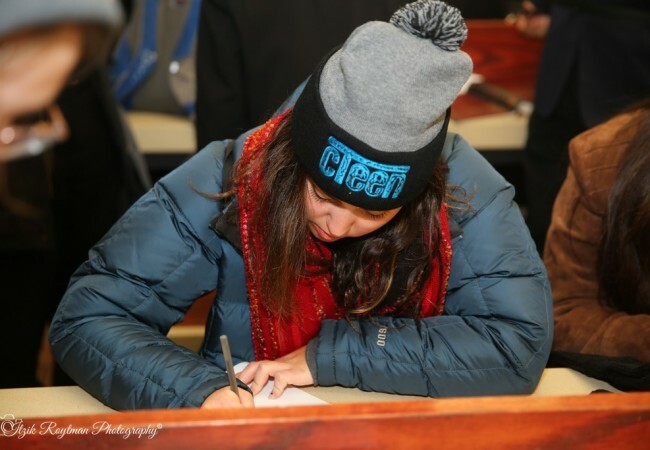 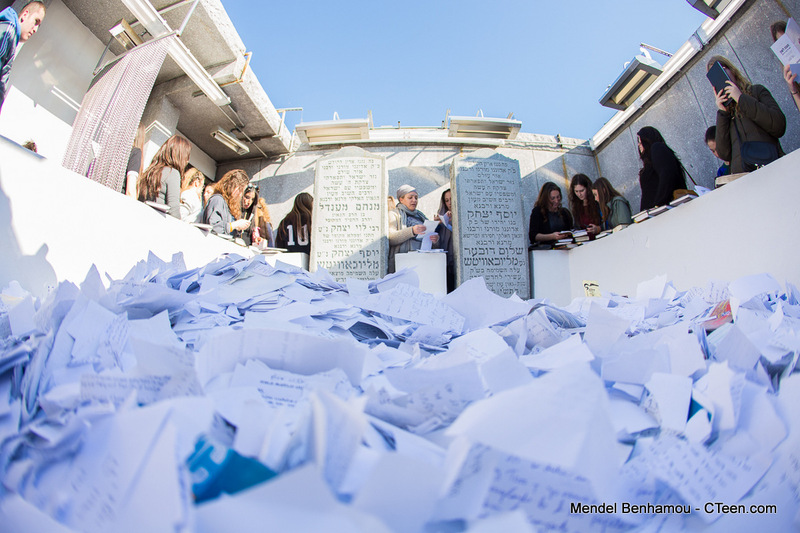 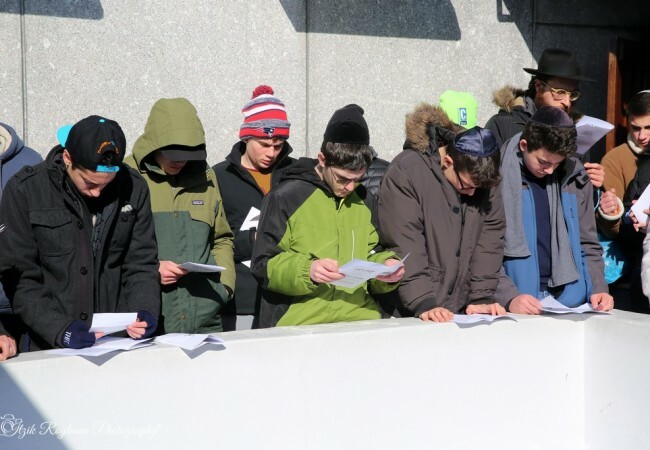 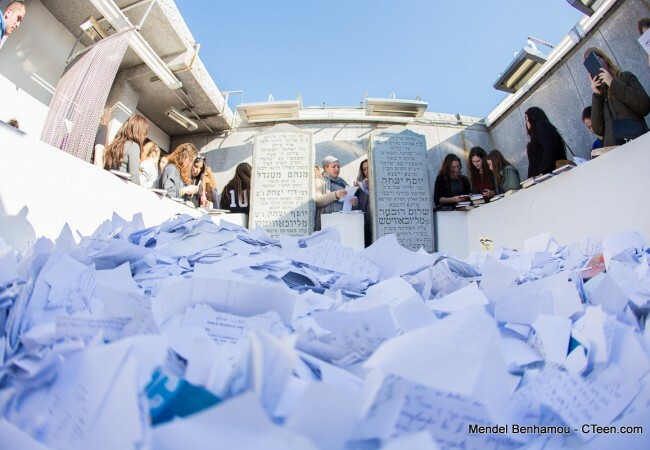 Each mitzvah we do makes a huge impact!” In the hours following the Shabbaton, hundreds took to posting their mitzvah pledges online, inspiring other teens (and adults!) 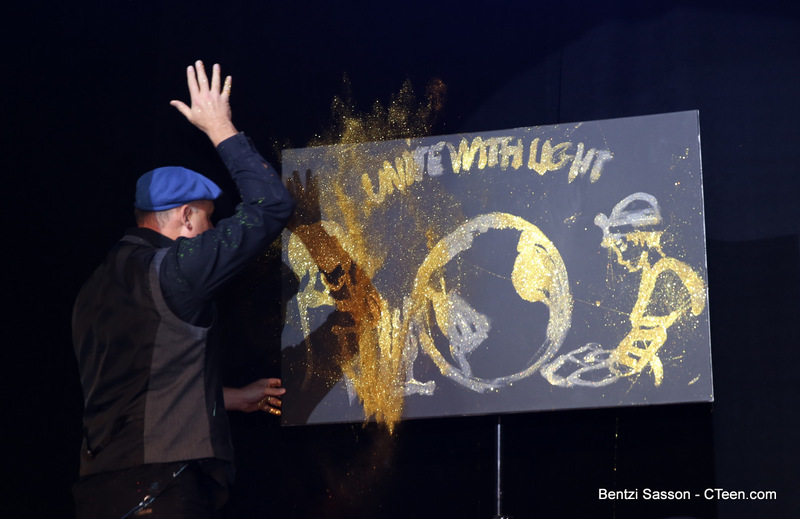 to continue spreading the light. 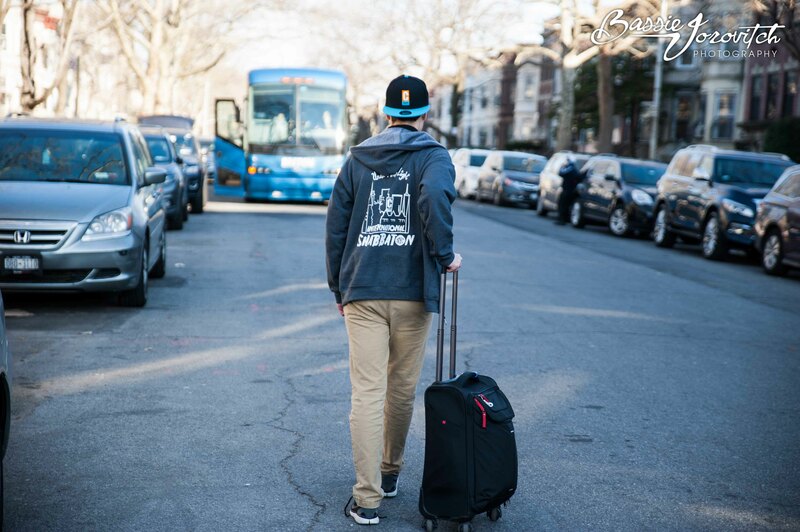 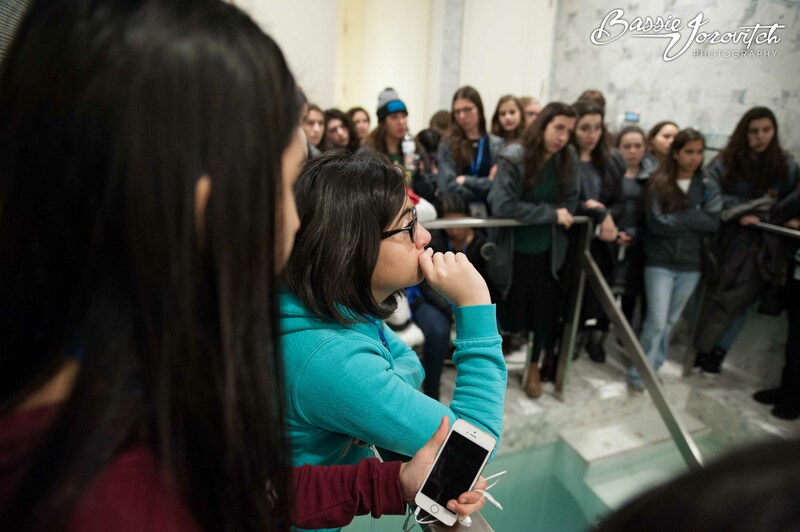 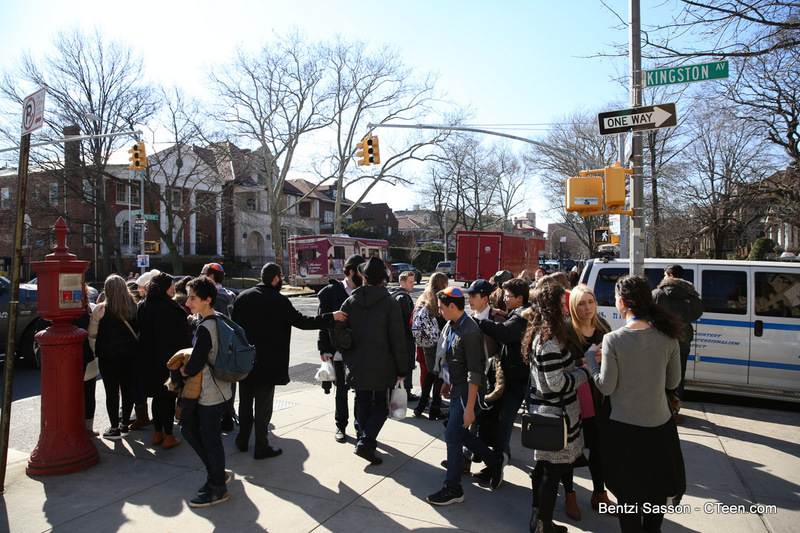 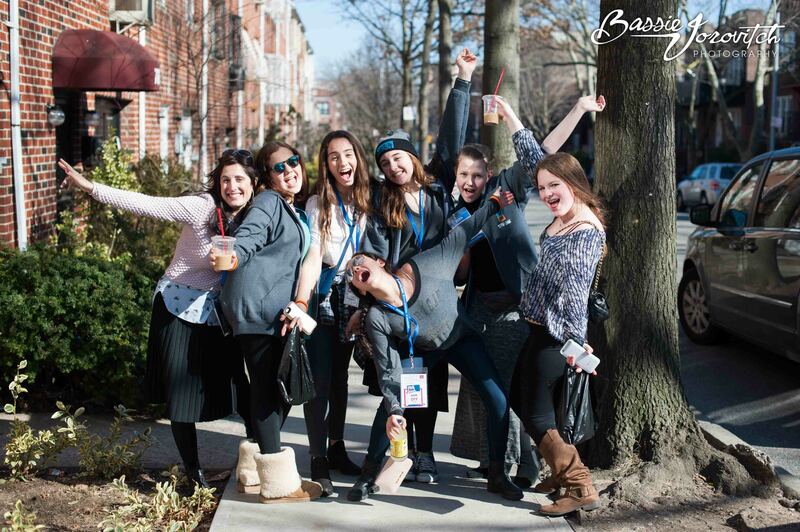 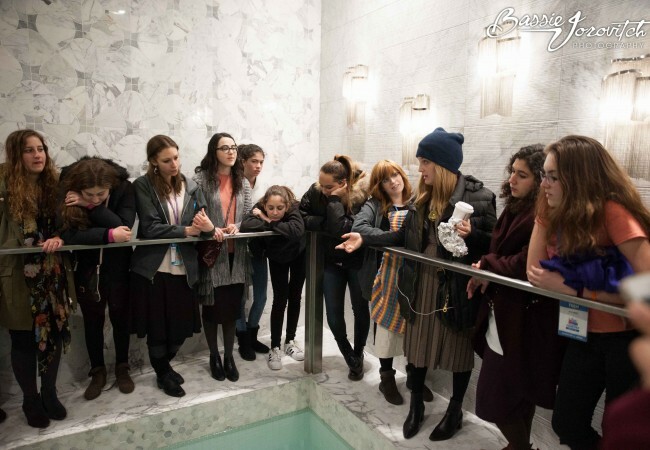 Other teens shared that their favorite part of the Shabbaton was the Crown Heights Mikvah tour. 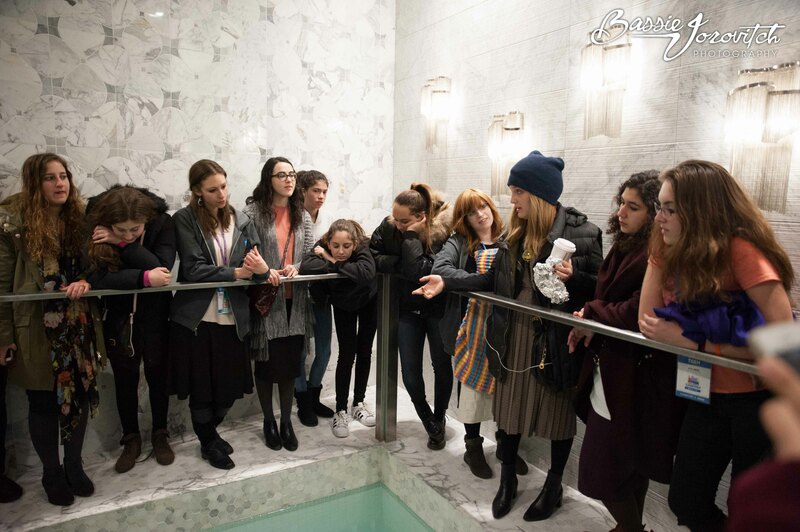 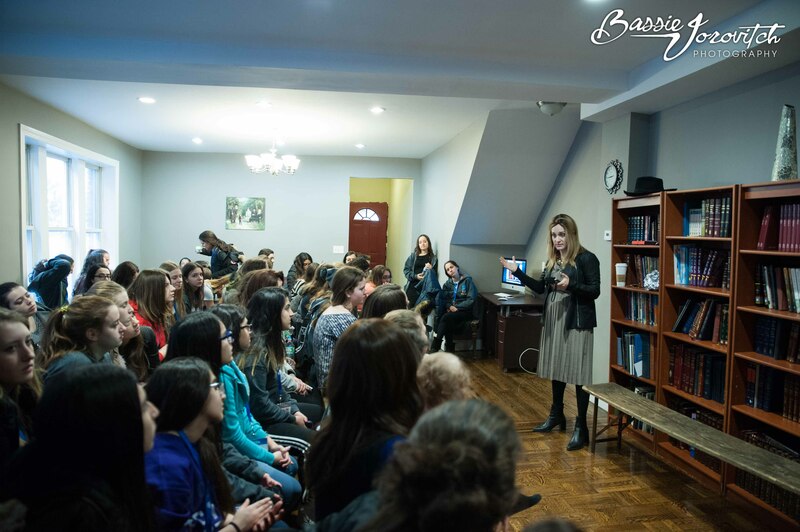 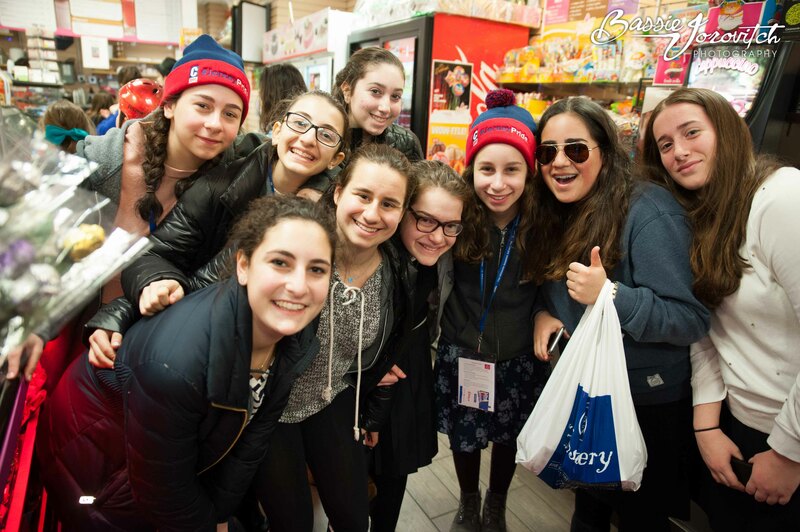 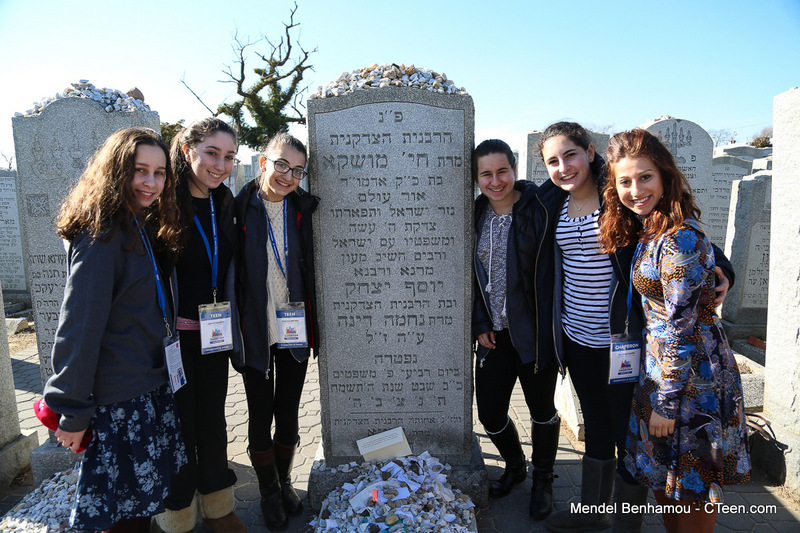 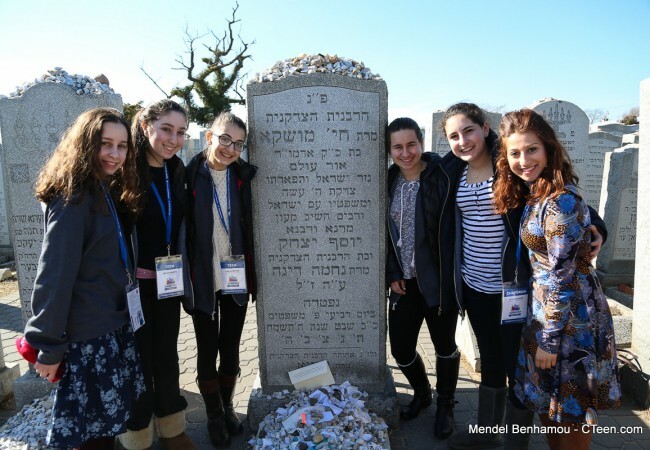 The girls tour was hosted by Rebbetzin Faya Lipskier from Chabad of the West 60’s. 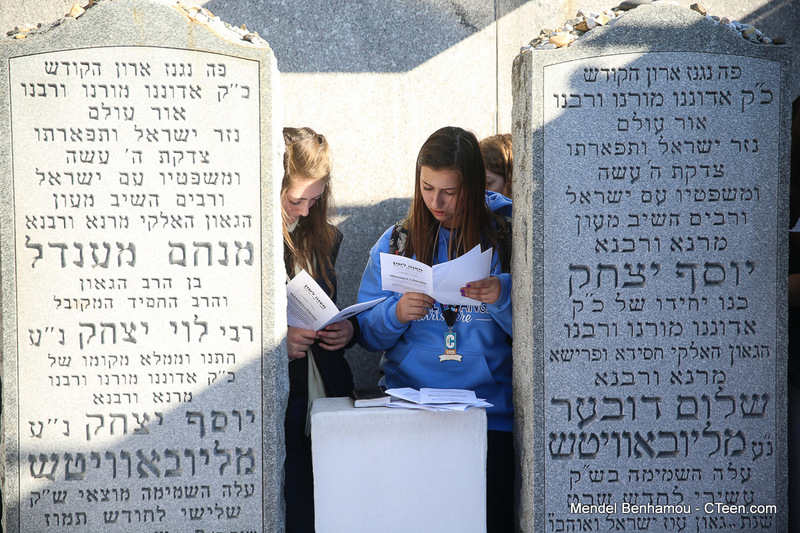 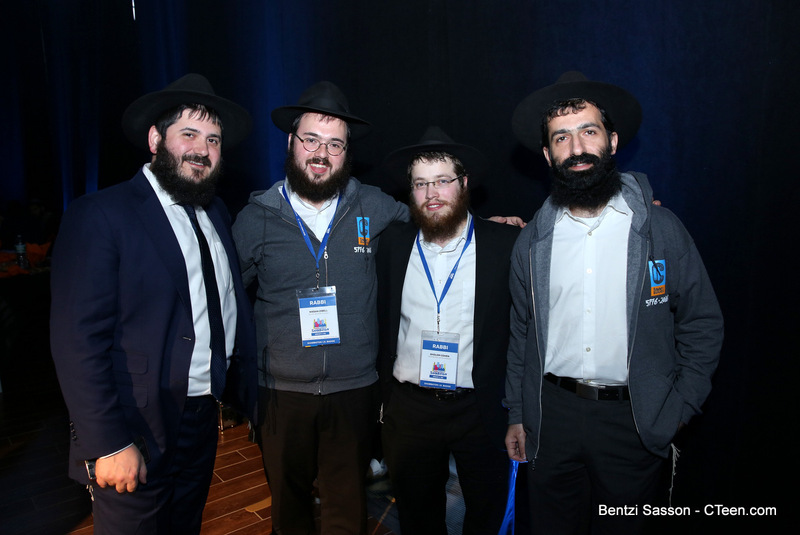 “It’s incredible to see how far we’ve come,” exclaimed Rabbi Mendy Kotlarsky, the Vice Chairman of CTeen. 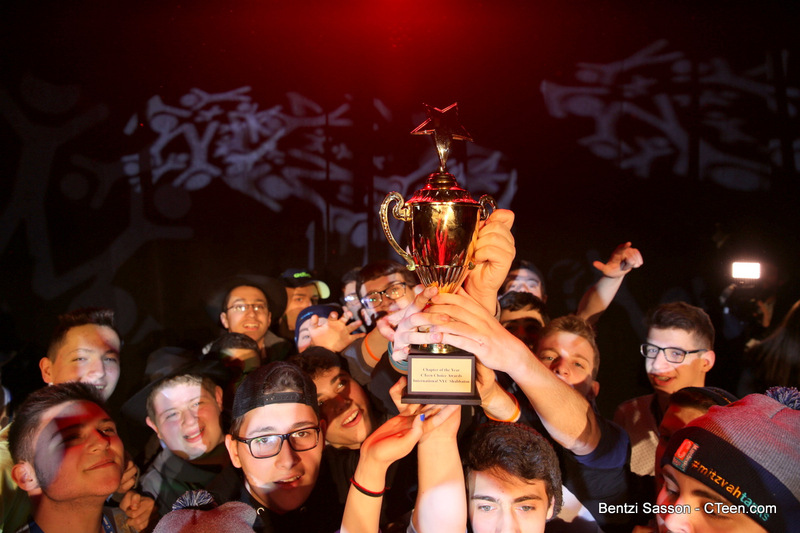 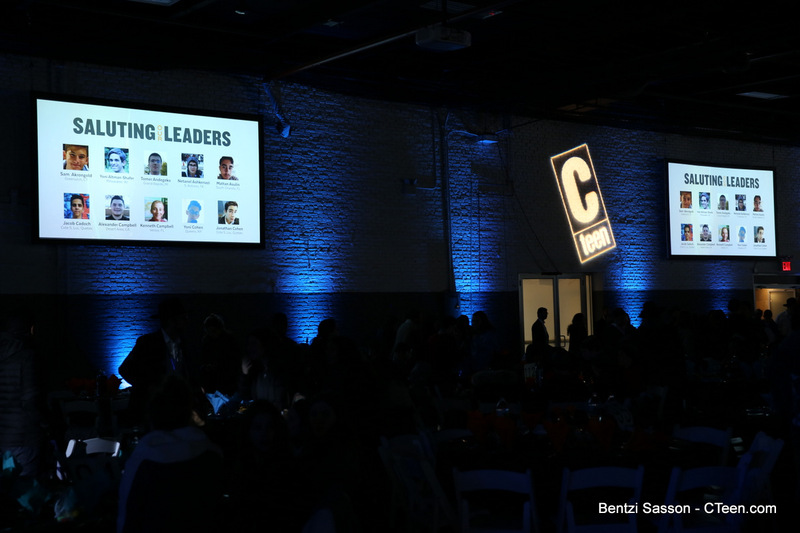 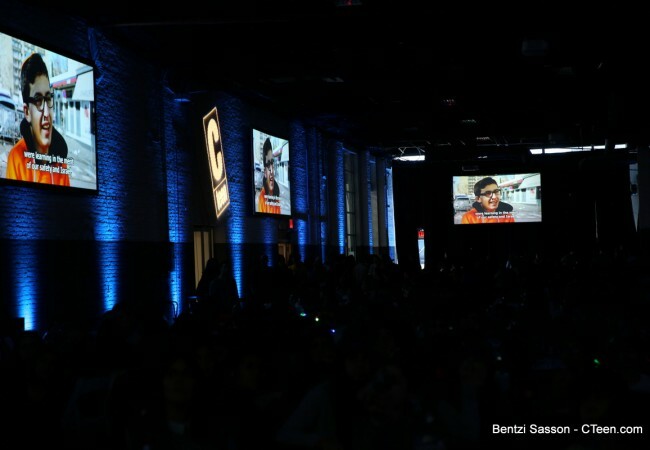 “Six years ago, all of the CTeen participants fit into the dining room in my parents house, and now, we arrived at the point where even the Brooklyn Expo felt too small. 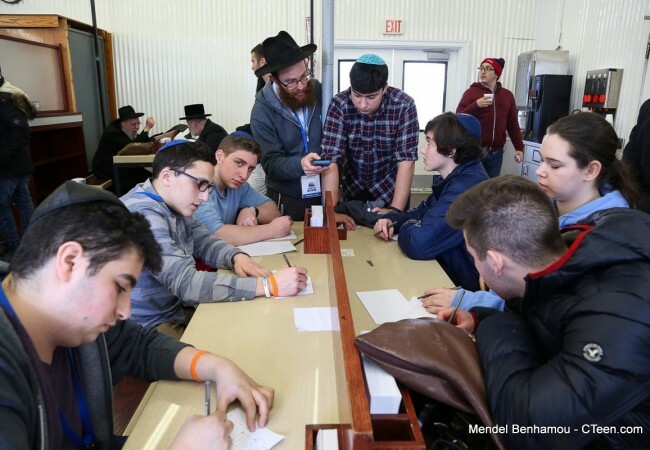 A large part of the shabbaton expansion was helped by the 40 new CTeeN shluchim sent out via Merkos 302’s New Shluchim Initiative which was enabled by a grant from the Meromim foundation operated through Rabbi Bentzi Lispiker and Yitzchok ben Leah. 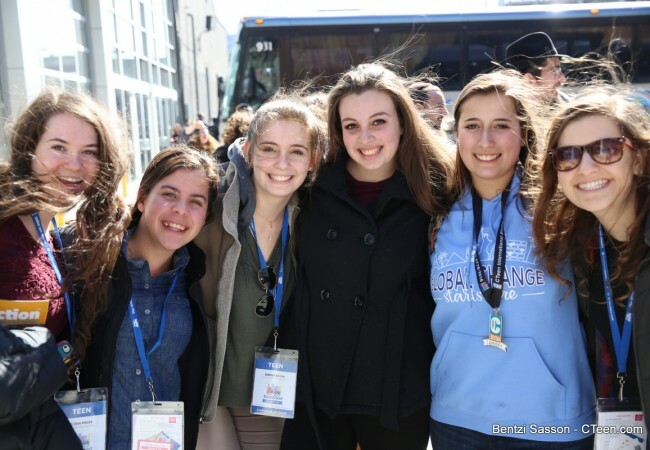 While teens and participants alike were dreaded the inevitable departure and and all the “goodbyes for now” that came with it, each left with a spark, ready to ignite the light wherever they may go.